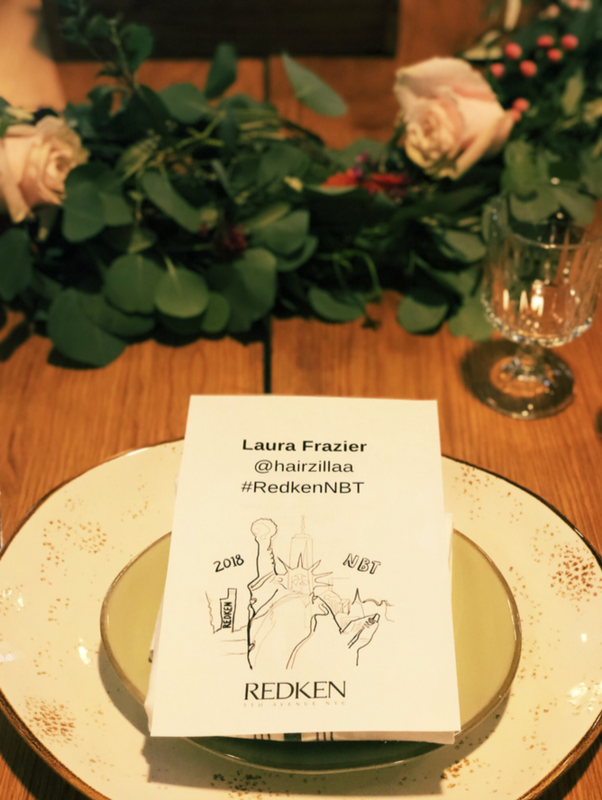 The Journey Behind Redken’s NBT! 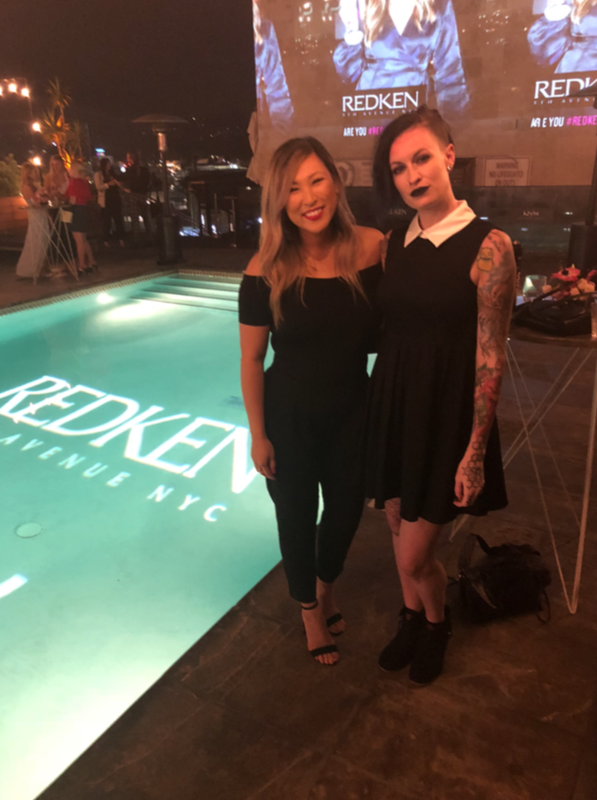 Ever been curious about the experience of being Redken’s NBT?! This year one of the winners, Laura Frazier, detailed her entire experience from start to finish! 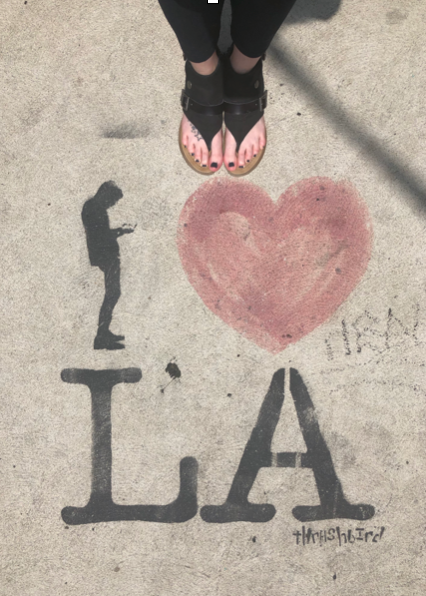 To get a sneak peek at the experience you’ll have, take a peek at her travel diary from her time in LA! The day before any event are travel I refer to as “packing eve” because as a Redken Artist I know this is a holiday in itself. I work about 10 hours a day behind the chair so many of my personal tasks happen in my brain, between guests and even between each foil! The salon is busy enough so now my mind is on overdrive for potentially the biggest event in my present-day career. We all know this feeling; fully double booked day, things to do at home, things to pack, dinners to make, snacks to pack, husbands to hug, dogs to cuddle, but first to get through the workday! Do I need a carry-on? You know how this day goes! And of course, I keep telling myself “I’ll pack light” even I know this is a lie. We also all know I will get home and my mental notes will go out the window. If you know me, then you know; my shoes get their own bag. Free bag checked! See ya carry on! So far I am 10 for 10 doing this! Remember, it works every time for connecting flights, I can't promise anything for direct flights. Thank me later. At this point, my chaotic salon day draws to an end, and now on to my home life day. Can we agree, as hairdressers, we have multiple lives, and multiple calendars that have to work together; and like superheroes we do it. Especially the working moms! 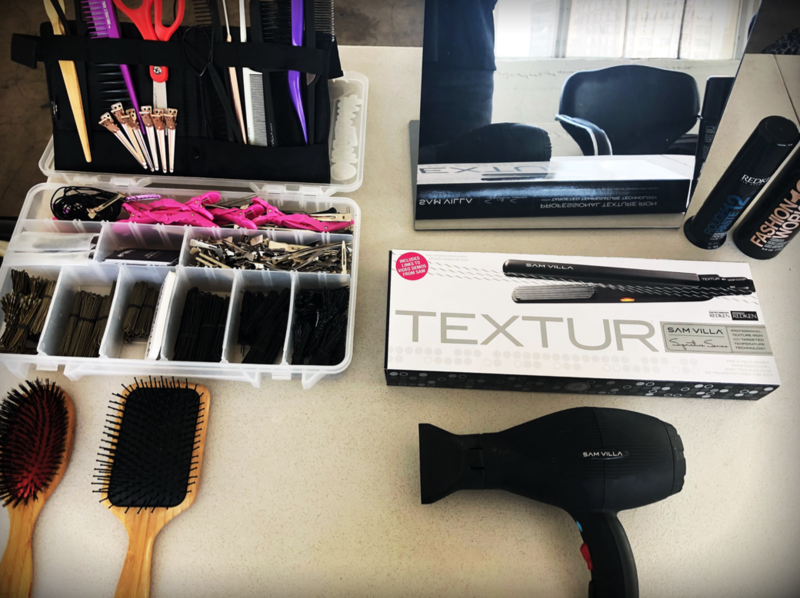 Can I get an amen for the working stylists out there! Living dreams, helping others and still holding down the home fort! As we clean up I remember Sam told me to send a picture via text of a preview of my look for a shoot we will be doing on this trip. Oh, Sam who? SAM VILLA! You know, the big guy! If I haven’t told you yet, here we go. 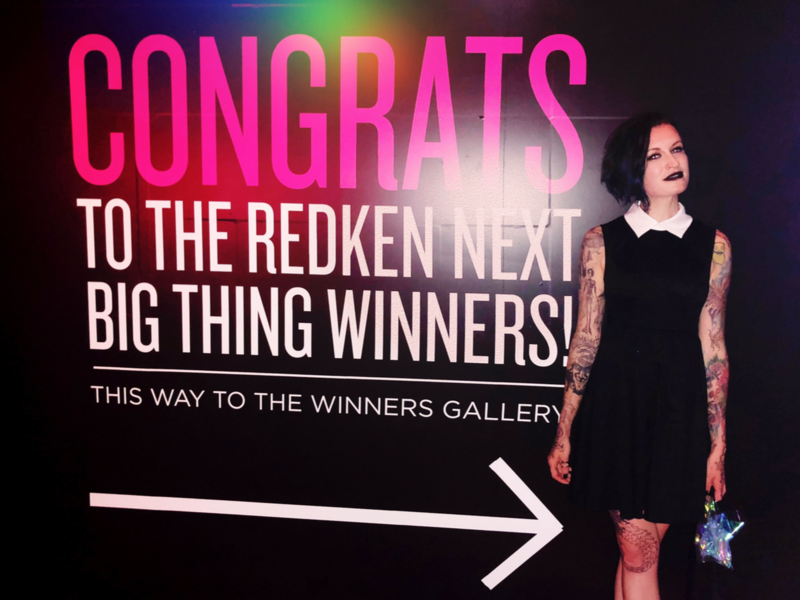 I was named one of Redken’s Next Big Things! 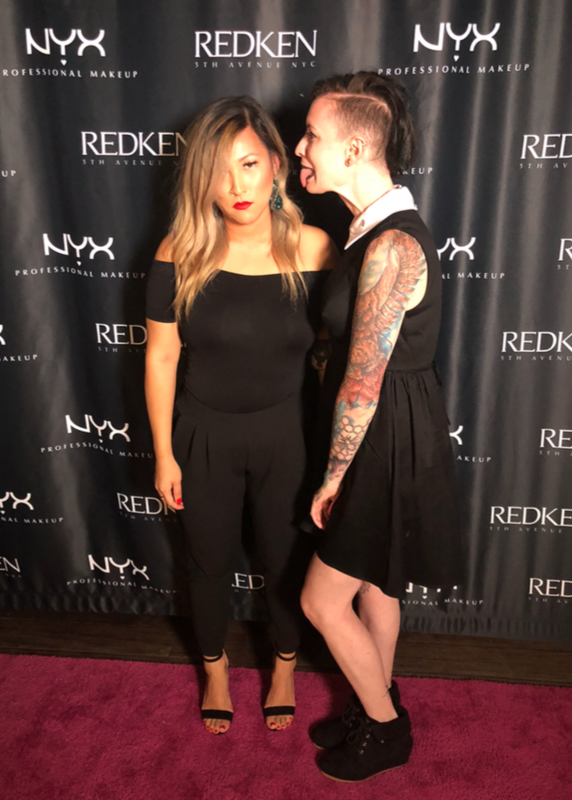 As a result, I won an all expense paid trip to Los Angeles and prizes included on this trip are a photo shoot with Sam Villa and Bangstyle, Dinner with Tracey Cunningham, two rooftop cocktail parties, VIP entrance into NYX Face Awards, and some fun surprises along the way! That reminds me, I need to pack beach stuff! But first this mannequin. When Sam asks for visuals… you send them! I draw so much of my hair inspiration and style from music, movies and everyday life. Currently, I am on a punk rock/Courtney Love vibe, so I chose a mohawk. 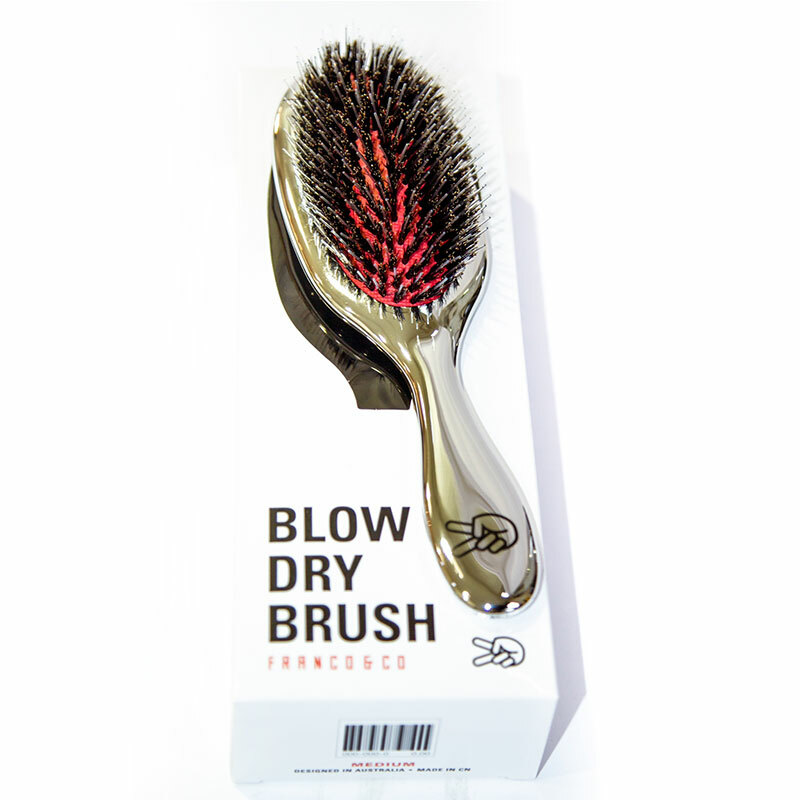 I directional blow dry on dry hair with Guts 10. 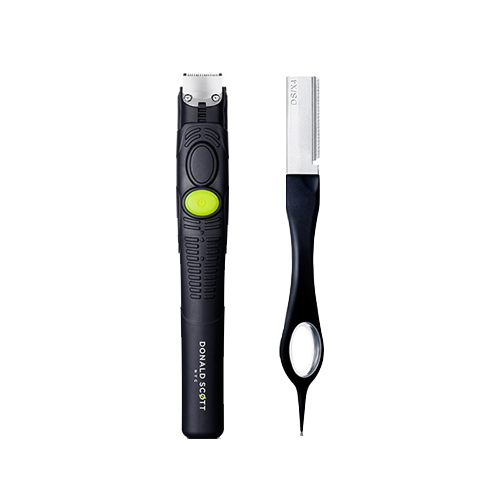 You heard me, Guts on dry hair! 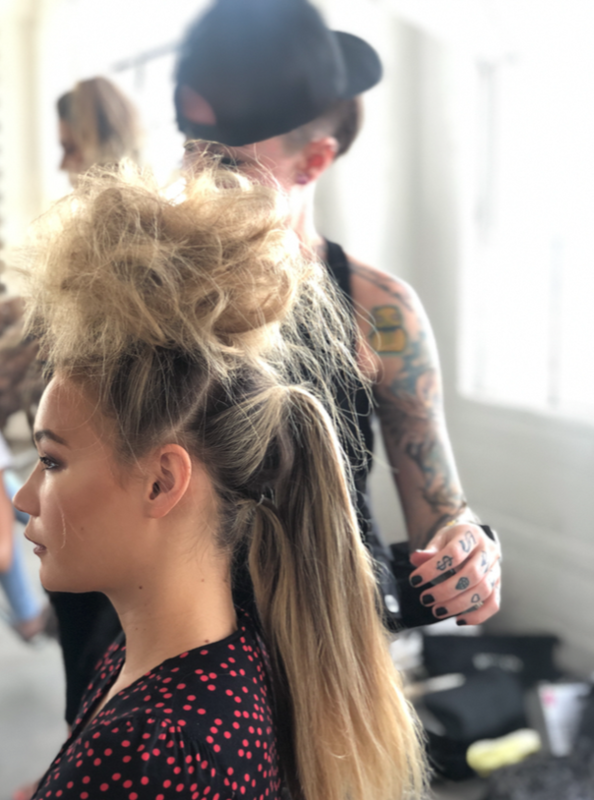 You want to do an updo with zero flyaways and keep it where you put it, prep the hair this way! 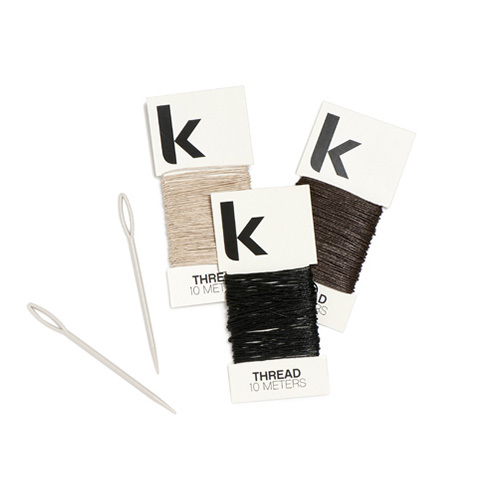 After I dry I pull the hair into 4 small ponytails on top of the head, hand lace the mohawk and pin. 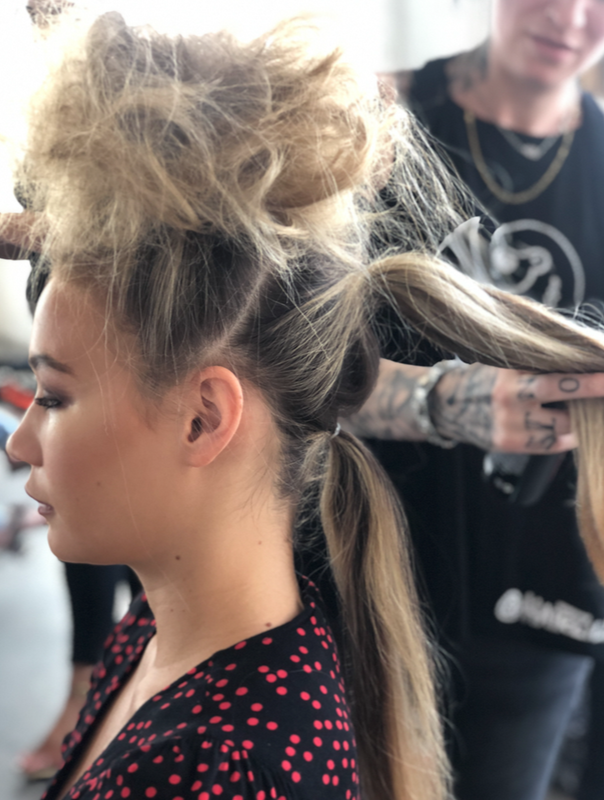 Leaving some hair out on the sides of the hawk I then create small snake braids and pull the center piece up to tease the braids into the hawk and boom, instant texture and details! Take some pics on a blank wall and hit the send button! So, now that I have soaked in that I have sent Sam Villa inspiration and proof of hair I can do and from my heart, I pull it together and head home. Back to packing; my husband made dinner so one less thing! 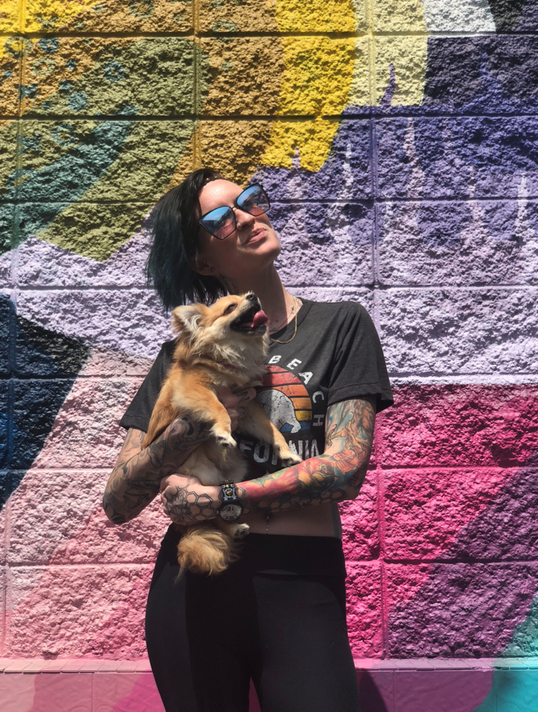 He thinks what I do is the coolest, so obviously, I take a second to soak in how much I love and appreciate his support - I couldn’t do it without my babe in my corner. I lie to myself again and say ok let's pack light, break out the itinerary they sent us and decide only one outfit per event and 2 extras that should keep it simple right? Of course, but let's complicate things and hit up Instagram live to get some advice and tips from others. Thank goodness I did cause I almost forgot my cheetah neck pillow and yet again almost forgot my headphones! 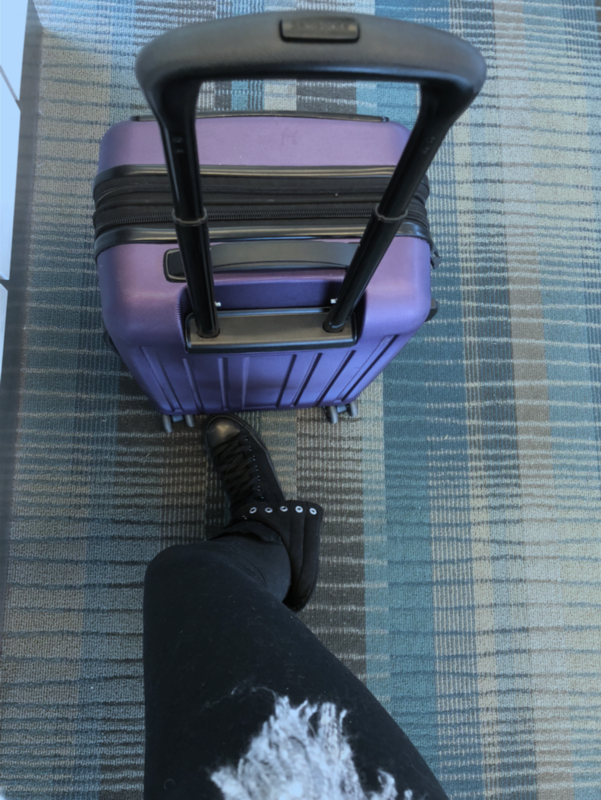 I pack it up, zipper it tight, and step back proud of myself I have only 2 bags for 5 days, and even more proud of my travel hack plan to get free checked bags. Another lie I tell myself is to head to bed early. 10 pm is early for me, I put jammies on and snuggle in, turn on The Office and only click “still watching” twice! 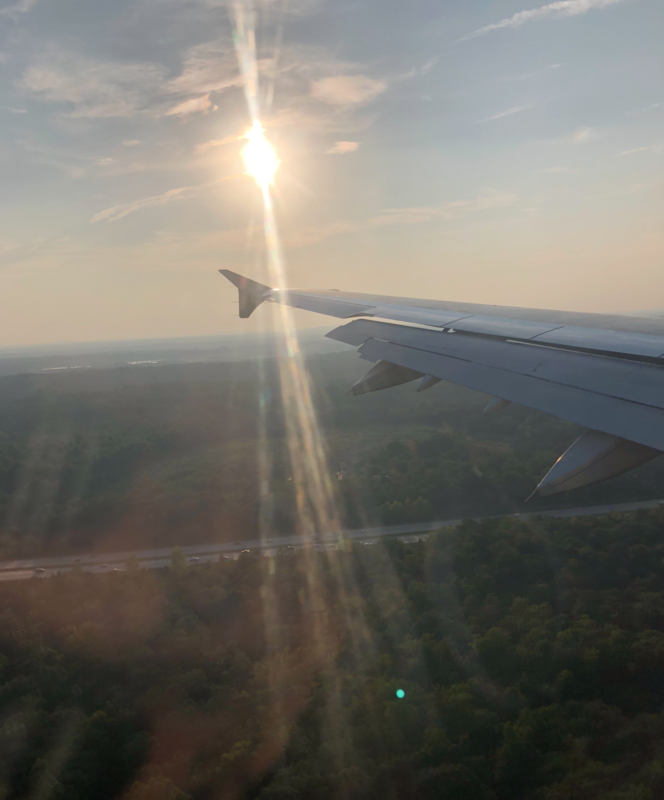 Ok, I am here on the East Coast, traveling from Charleston, SC to Los Angeles, CA. On the ride over I attempt to do the math on timezones and confuse myself as far as when I land versus the time I take off and I am going to blame it on not being a morning person but I don’t get it. Is this tuna or chicken? I chuckle at my analogy realizing if you’re not of the MTV generation you may not also laugh, but one day you’ll get it. Another travel hack; sign up for TSA PreCheck. 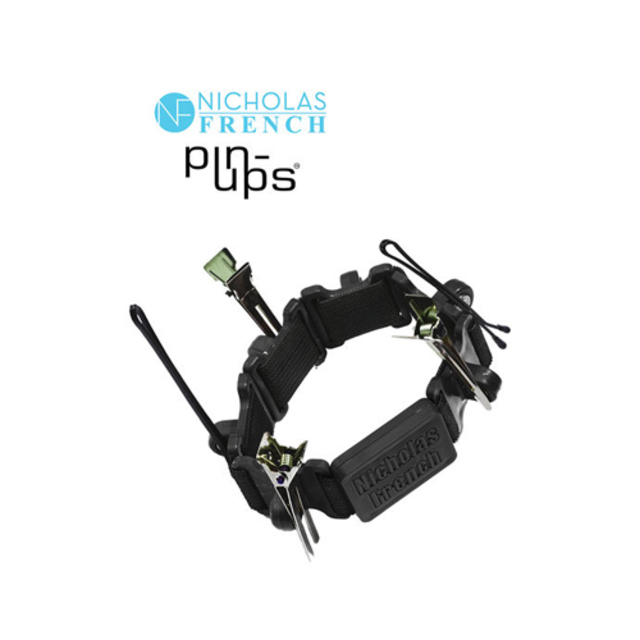 In and out of security in any airport in 5-minutes! Look it up on TSA’s website, you set an appointment to meet with an agent to be interviewed and once approved you get a little “Pre” seal for your boarding passes. I feel like the queen of England calmly waving to the long line of people taking off their shoes in security while I waltz on through to my gate. As I sit down to continue this travel journal I smile again at myself for the “Chicken or Tuna” reference I said in the car, then smile even larger when the gate attendant comes on the speaker for volunteers to check bags. Worked again, and now I’m down to one backpack to carry through two more airports. Can I get a high-five? The other travel hack I think of to share with you here is; get a blanket scarf. They’re large scarves you can purchase for a mere $10, and look like an everyday scarf but like Superman, in a telephone booth one twirl and this scarf opens up into a full-blown blanket! 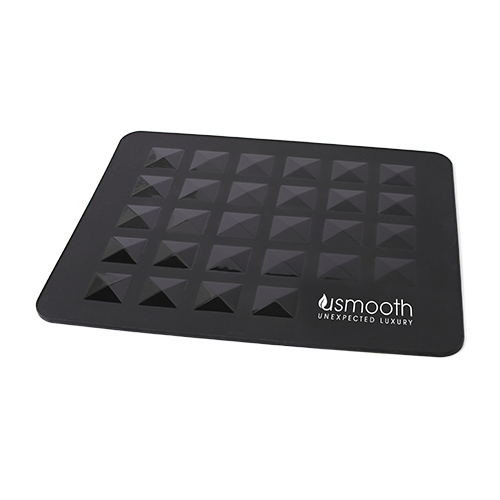 And unless you’re flying first class, you’ll need this item for the fridge temperatures they seem to keep planes at. I still have about 45 minutes until boarding, so I put my earbuds in and crack open my journal. The real fun begins here since I don’t hit play on my iPod I am now privy to all the private conversations around me. You’d be surprised the things you hear when people think you’re jamming to your headphones. This takes people watching to a whole new level. Give it a try! Also with earbuds in, I don’t have to make an awkward conversation with my new friends at Gate A5. Also, a great hack for red-eye flights with chatty passengers when all you want is to sleep or read. Now we board the plane! I land and find a fellow Redken Artist you may know, Kyle Pinneo, we share a Lyft and discuss the trip and our entries, and how ridiculously hungry we are. One of my best friends, Heidi, moved to LA and I alert him to the restaurant she recommended for dinner and he’s in! We pull into our hotel, the Intercontinental Hotel in Downtown LA, and proceed to the confusion of checking in. After asking 3 people and following an equally confused crowd to the elevator we end up on the 70th floor. The lobby is on the 70th floor!! As confusing as it was it wasn’t worthy of being angry, but let me tell you so many people were angry the lobby was on the 70th floor! I asked the clearly nervous front desk girl Karen, why is it so high up? She replied that the hotel is owned by Korean Airlines and they want your total experience to be in the sky. Pretty cool if you ask me. And the view? You won't be disappointed. Cut to - checked in, bags in the room, claimed my side of the bathroom since my roommate has yet to arrive; yes a roommate! Always worth being nervous over especially when its two hairdressers and all our stuff into one room! That being said the rooms in this hotel make you feel like a movie star! Since my experience is in the sky here at the Intercontinental, my room as well feels like a penthouse. 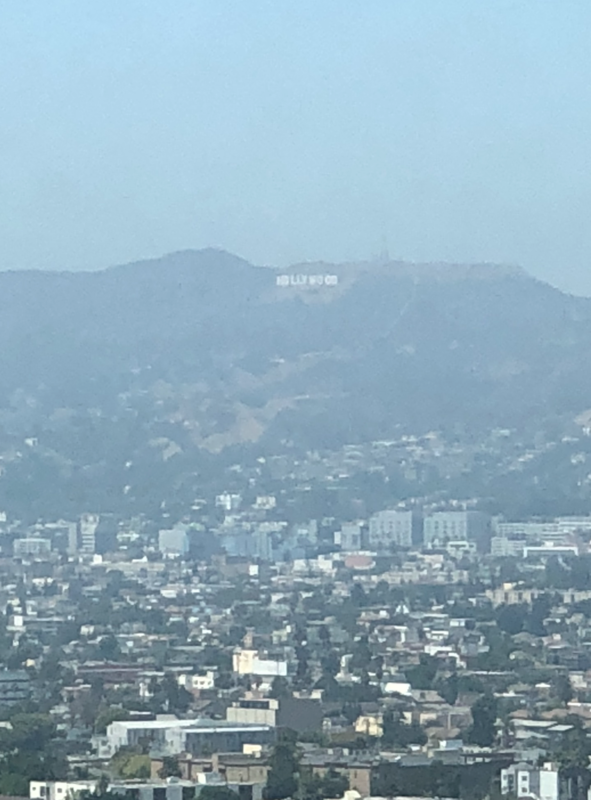 If you squint you can see the Hollywood sign from here! Now off to dinner! 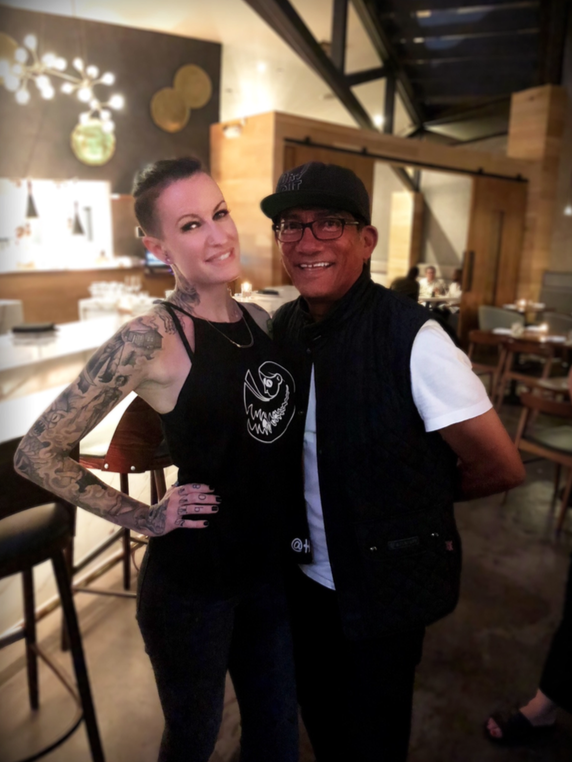 I meet Kyle in the lobby, and we request a Lyft ride to meet my friend Heidi at her recommended must eat spot Hoy-Ka Thai. This spot is clearly a local non-touristy place and I love that! I always say, hang with the locals for the best experiences. Heidi swears by the soups and her dish looked amazing but I opted for the pineapple fried rice, and I opted right! It was delicious enough that when I was full I kept eating, and even after my stomach hurt from maximum capacity I still kept eating. I highly recommend if you are near Sunset Boulevard and hungry head to Hoy-Ka and enjoy! We both decide we are hungry and want to explore, so naturally, I throw into Google “Best breakfast near me” and a slew of spots come up. The second choice has a Google image of people in line around the block waiting to get in. Travel Hack 897689 - if there's a line outside a restaurant, you get in that line and you wait. I tell her we are going to “The Original Pantry Cafe” and explain why I chose it, and she’s in. I also confirm with Heidi the local that its a good idea, and she confirms. As we walk a mere few blocks and chat, I am also mentally preparing to wait in line although my coffee first rule has been tossed aside for this adventure. As we turn the corner the line is about 10 people deep, which in the scheme of things isn’t bad! So we get in line and try to take advantage of some Instagram-worthy poses and shots. As we get closer to the door there is a plaque on the wall and I slowly realize how cool this place actually is. Upon being seated, and getting coffee we learn the thing. Everyone and every place have a ‘Thing’ and this place has a few. However, its true "thing" is that since it opened in 1950 The Original Pantry Cafe has never closed or refused a customer even if they were short on money. Walking in you can feel the vibe, the loud excited talking, the clanging of dishes and the smell; oh the smell of freshly cooked breakfasts and brewed coffee, gimme the coffee! The menu is on the wall, and only hosts a few things, and judging by the smell of this place whatever you order its probably great. 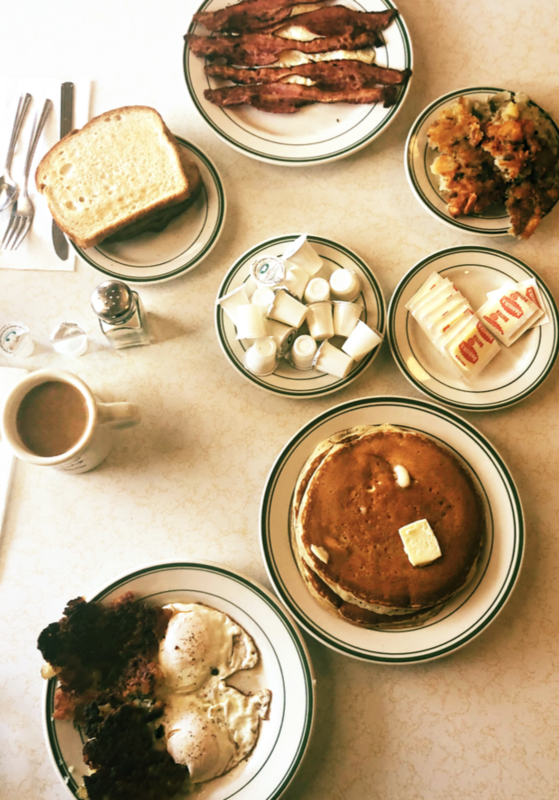 The old-school vibe and breakfast scents floating around got me and Brit ordering a little of everything. 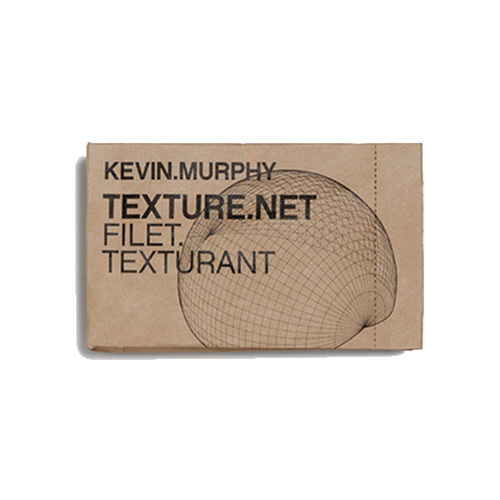 This place feels like James Dean would eat here, classic, simple, and delectable. Again, I eat till I am supposed to be full, and then continue to eat; even after I remind myself I haven’t tried on my dress for later tonight and hope it hides the bloat of happiness I'm creating right now. As we waddle back to our hotel room Brit and I discuss how we don't mind chilling in the room a bit, catching up on some laptop and social media work from the room before we get ready for a surprise and then dinner with Tracey Cunningham. Which we all know, this turned into sweatpants and Instagram stalking and posting until the last hour before we are to leave. At this point as a Redken Artist, we have mastered the one bathroom two hairdressers getting ready scenario. 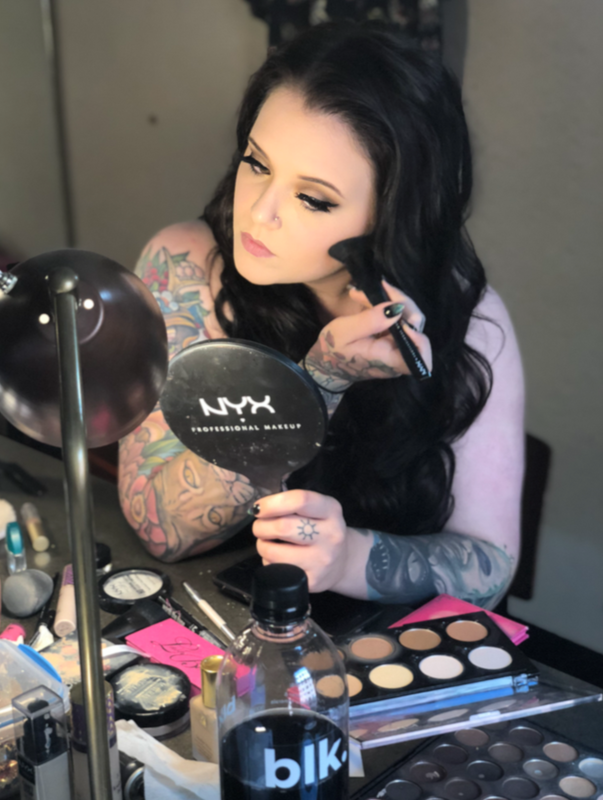 We switch out using the bathroom for hair, and using our beds for makeup application and rotate – beauty-roommate perfection. I decide on my flowy dress that is quite frankly short enough to be a shirt, so I add black Bahama short leggings underneath and some knee-high black gladiator sandals to dress it up but keep comfortable. 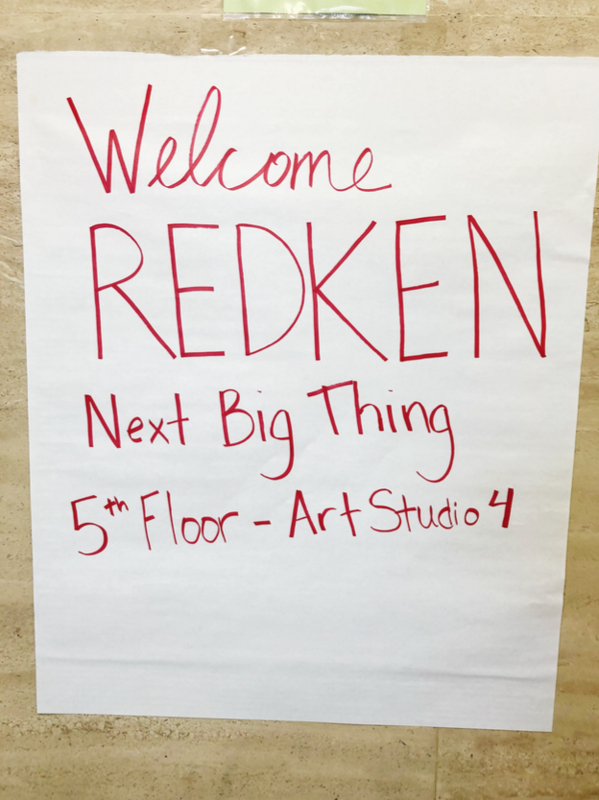 The digital team at Redken has planned this entire week and we're sure to keep some things a surprise. Including what a ‘paint party’ with Tracey is. So not being sure if we are painting hair or mannequins or what so I keep it cute but practical. 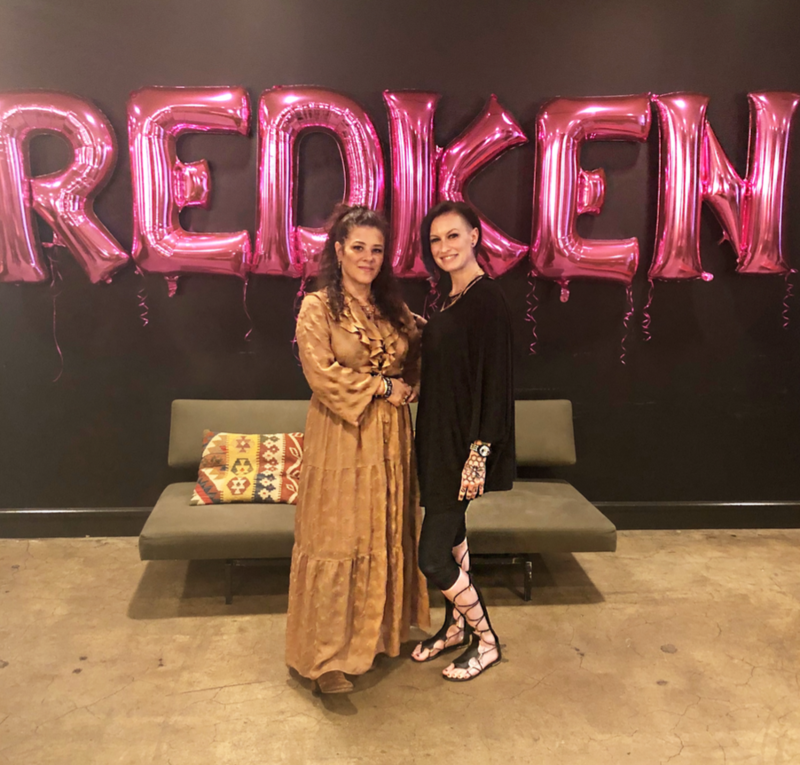 We head upstairs and walk into a large decorated loft, prepared in true Redken Style by our Redken Digital Corporate team and for lack of better words, it was badass. On the far away wall is a table worthy of Vogues best of Thanksgiving settings clearly set for dinner, and to the right near the floor to ceiling windows were stations. 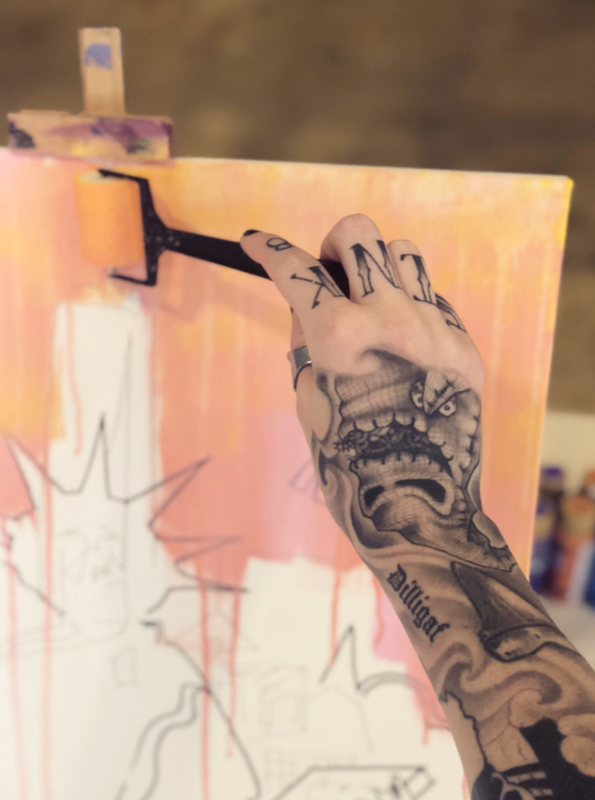 The stations were labeled with embroidered aprons with all of our Instagram handles so we knew where we were to be, and an easel with prepped canvas. Paint Party! Now I get it! 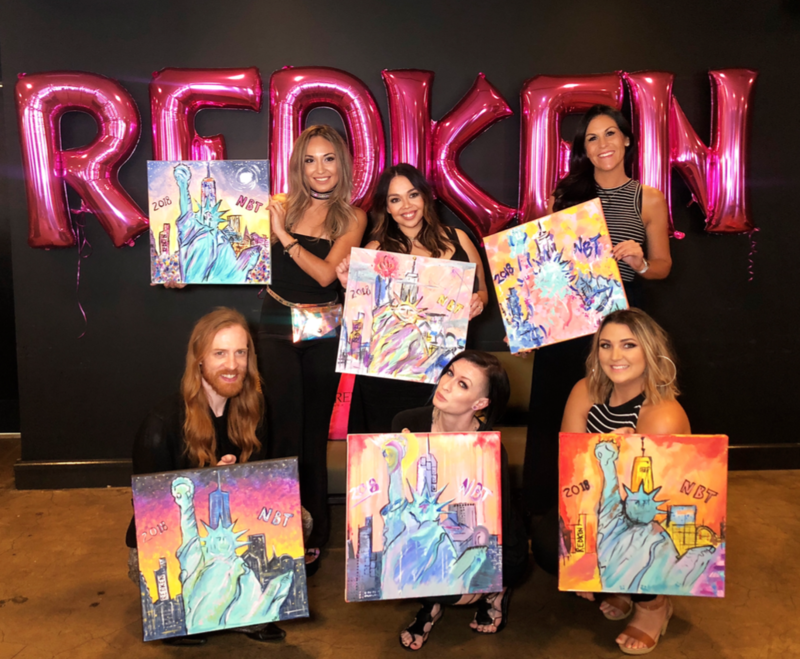 The canvases have a stencil of the NYC skyline and front and center lady liberty! 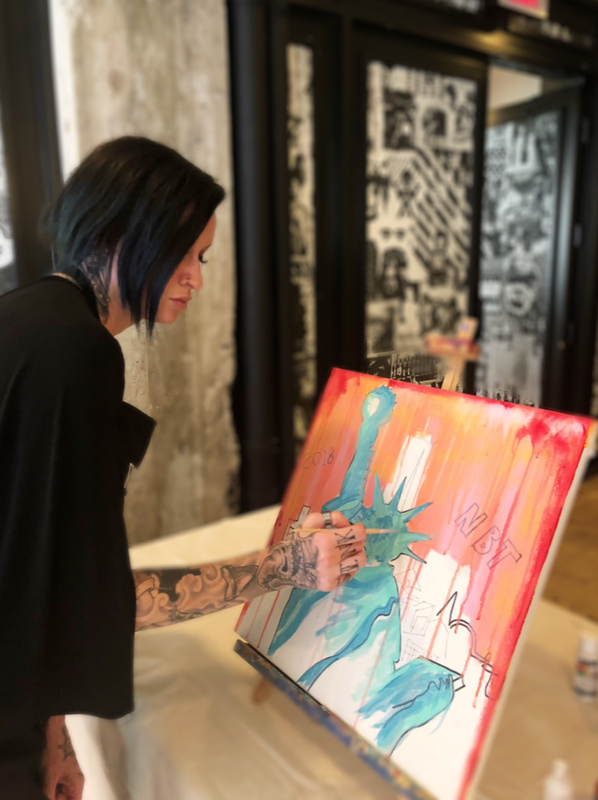 We meet our guide on this artistic journey Jennifer Bonneteau and she guides us through what to use, how our palette was reflective of all the Redken City Beats shades, and to have fun! Honestly, as a painter (I went to college before I discovered hair for Fine Arts) this was so fun and so freeing! We painted and chatted for about two hours, and you could tell each minute that went by we all were more and more relaxed. I think it took day two to realize we were here for fun! As an artist and hairdresser often we are workaholics; not today! Today we were just artists, letting loose on some canvas! Once we finished, cleaned up and obviously took some Instagram worthy photos; the amazing one and only Tracey Cunningham arrived! We mingled and made our way to the beautiful table, inserting ourselves into the Thanksgiving issue of Vogue with a living hair and beauty legend. Is this real life? As each course came out, so did the conversations. 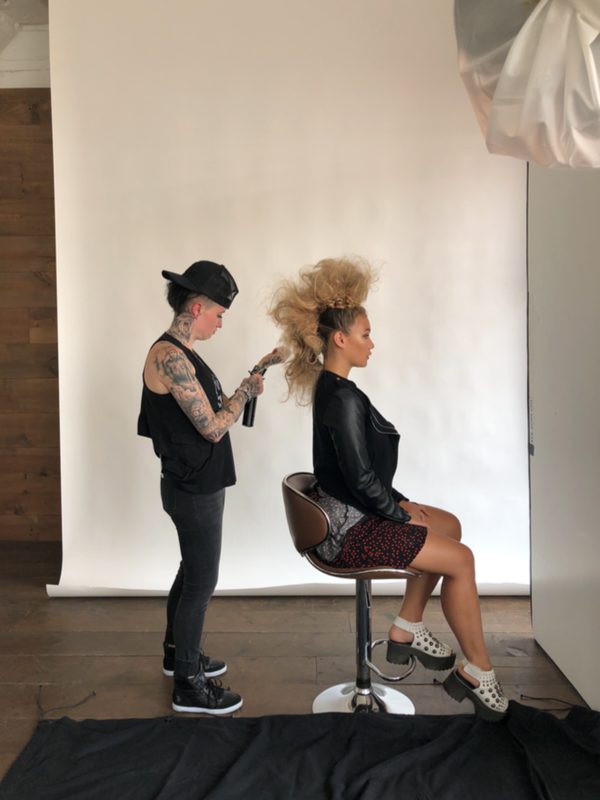 We talked about hair, how we regard professionalism, what it means to be where we are; and Tracey even asked us to go around the table to tell our stories. This experience was so humbling, Tracey Cunningham asked about our stories! She could be on set with J. Lo or touching up one of the Kardashians hair, but she chose to block out time for us and to really get to know us. For this moment I will be so grateful! She reminded me that yes we are in the service industry, we are here to serve and to do our best. But first, we are humans too. Each story was different around the table, but each story was so impactful, and each story had one thing in common: hard work. No matter where any of us are in this journey to be seen, to be the best, and to take the perfect after photo; we all came from tough places with some tough circumstances. Yet here we are, discussing it over the best-seared salmon and kale salad I have ever had, with the woman at the top of the industry telling us where she started. And this trip is barely halfway over. As we wrapped up and dessert was served. I sat there in the realm of gratitude. All these people and brands have believed in me, and the other 5 winners enough to spend who knows how much, and how much time, to prepare these events for us. The whole trip people have said, congrats! Or thanks for entering, when in fact we should be thanking them. Thank you for believing in us! 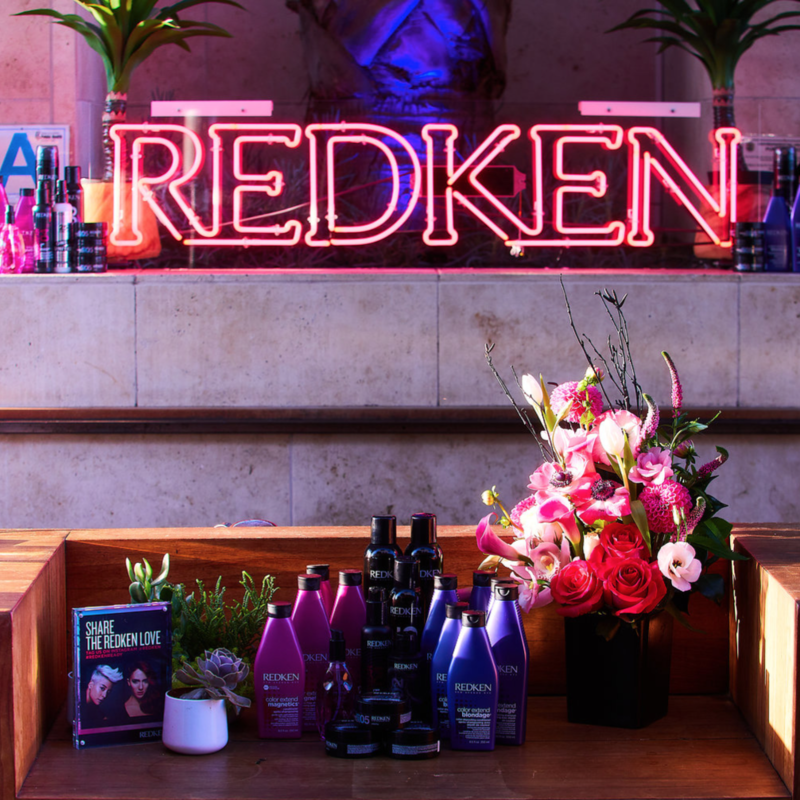 Without the support and energy of Redken, the corporate team, and all those involved we wouldn’t be here. Let's talk about this dessert by the way. The BEST strawberry shortcake of my life. If I could plan my wedding all over again I would ship this dessert to the east coast, no matter the cost. 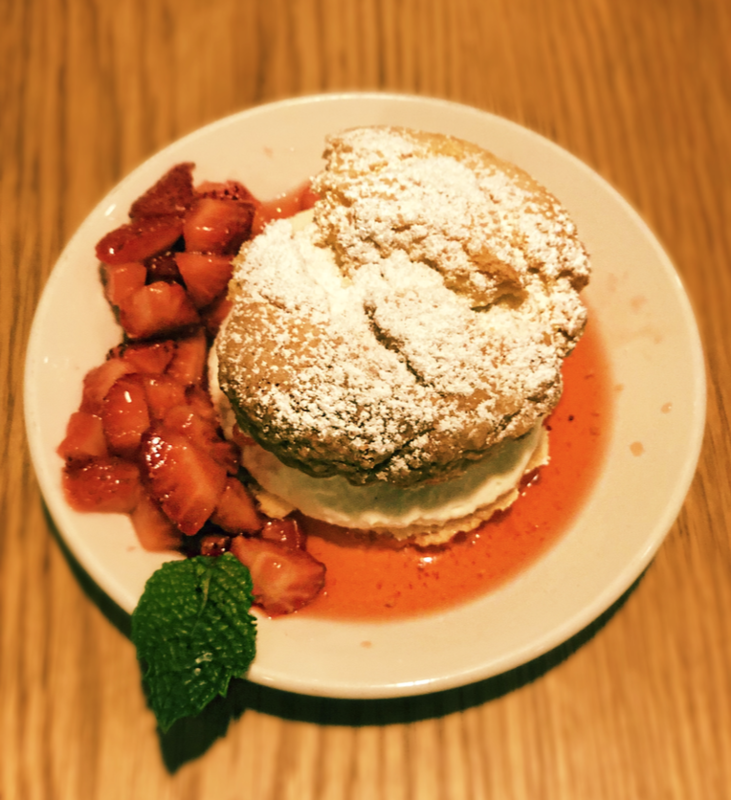 Also, after eating this I don't think the rest of the world knows how to make Strawberry Shortcake, so if you need a recipe call the Ace Hotel in Downtown LA and do us a favor, make it that way! The top and bottom layer of this cake was like biting into a cloud of light sugary heaven, with a filling close enough to that of Wisconsin cream puff that it filled my craving for that dish, in which I deemed the food to bring peace on earth. Seriously if you're in WI, learn about cream puffs, and if you're in LA, change your life with The Ace Hotels Short Cake. We all took a moment, as plates were cleared to say thank you, and give Tracey a big hug; and the vibe settled. We were full, grateful, and most likely ready for bed. 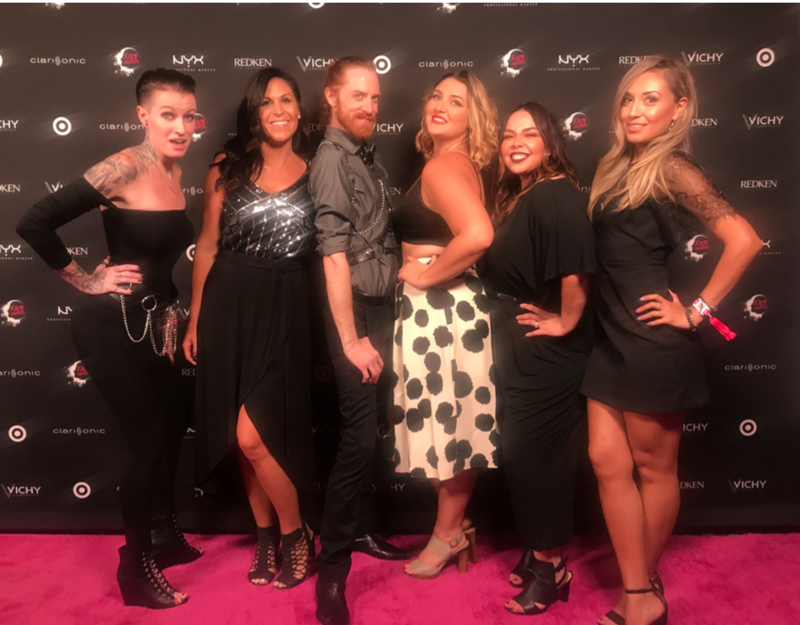 The Redken team had other plans! 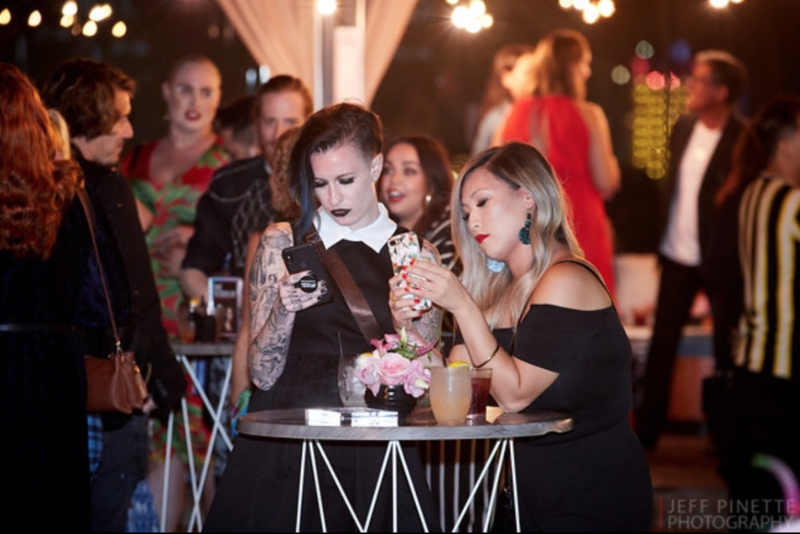 We were invited to the rooftop cocktail party celebrating the winners of NYX International Face Awards! So one more elevator trip up! We all cram into this elevator and as the doors open we are hit with humidity and music! Immediately it was as if the air transformed us from full and lethargic to geared up and ready to mingle! Redken will do that to you though; just when you think you are out of energy they find some more you have stored in there and they harness it! I don't know how you feel about views, but the larger the city, the larger the view! 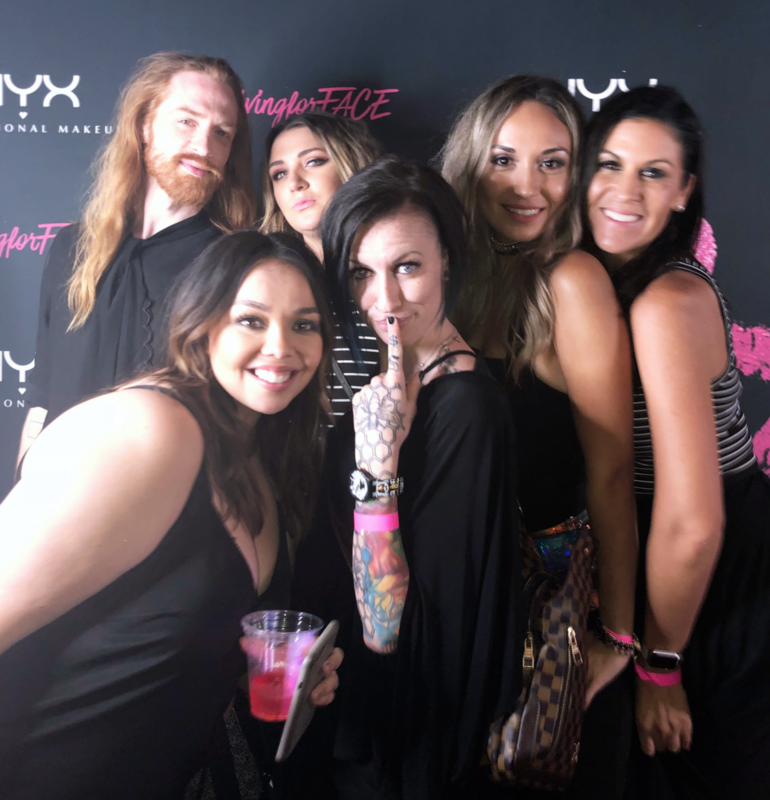 NYX knows how to throw a party - in case you were wondering. 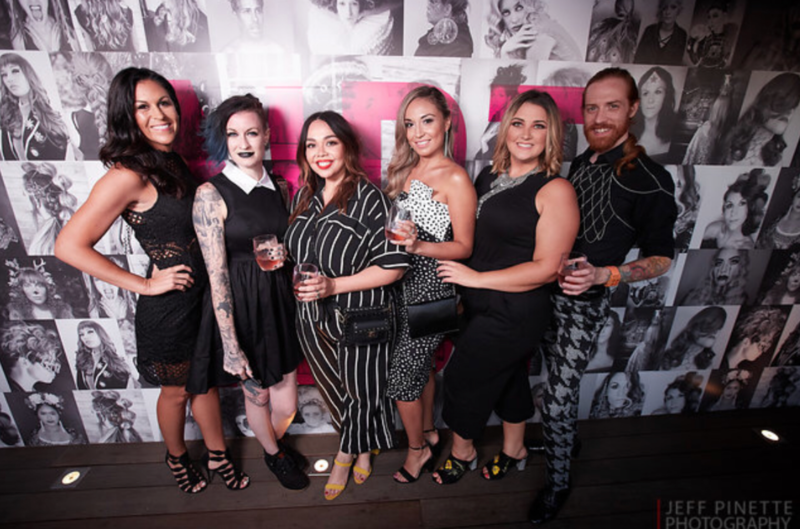 They had makeup stations with artists for touch-ups, ring lights galore for perfect selfies, and their own take on the red carpet, with a hot pink carpet! 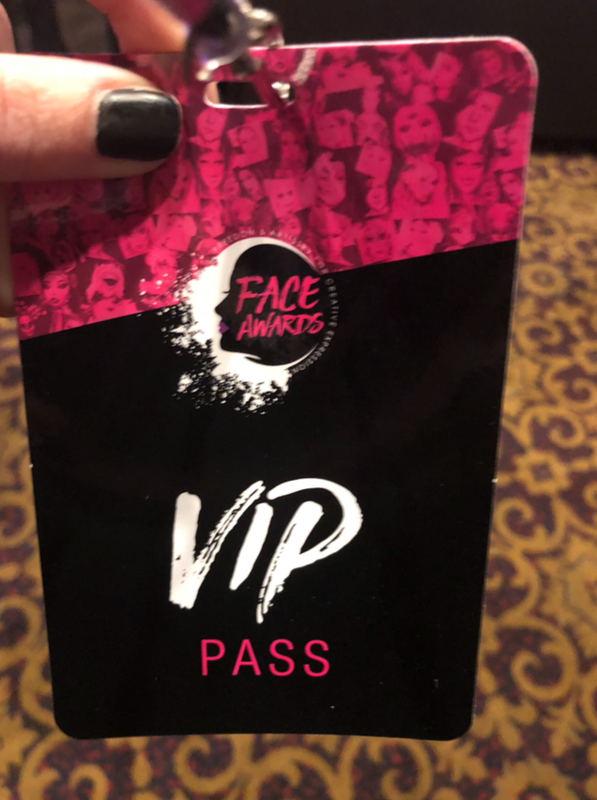 We clearly indulged in the makeup, and chatted with some of the most talented and beautiful makeup artists, and got to meet the finalists for the Face Awards in which we would be doing their hair for the event! And of course, we hit that hot pink carpet for some photo ops! If you can't tell, I am not one to pose pretty; I love to have fun! People think I am so outgoing, which could be true, but honestly, I just think life is for living! And for me, that means life is for laughing! Always try to find the silly and watch how fun life turns out! Once we all decided our feet hurt too much to stand any more, and we could all slowly feel the jet lag creeping up on us, we headed down to the Lyft and then back to that enormous hotel we will be calling home for a few more days. This is the morning I thank the Intercontinental Hotel for possibly the second most comfortable beds and pillows (first goes to Westin Hotels, they have their own custom mattresses that are well worth the stay) But the winner for most comfy comforter goes to the Intercontinental. I still wake up at an hour the west coast considers early, but on my time I’ve slept in until 1 pm. The jet lag is creeping in; and as per usual I roll over to my roomie awake as well and we agree, room service coffee is a must this morning. Upon further discussion, over our coffee, and within the group chat we all are in for this trip, we decide to explore before we have anywhere to be later tonight. 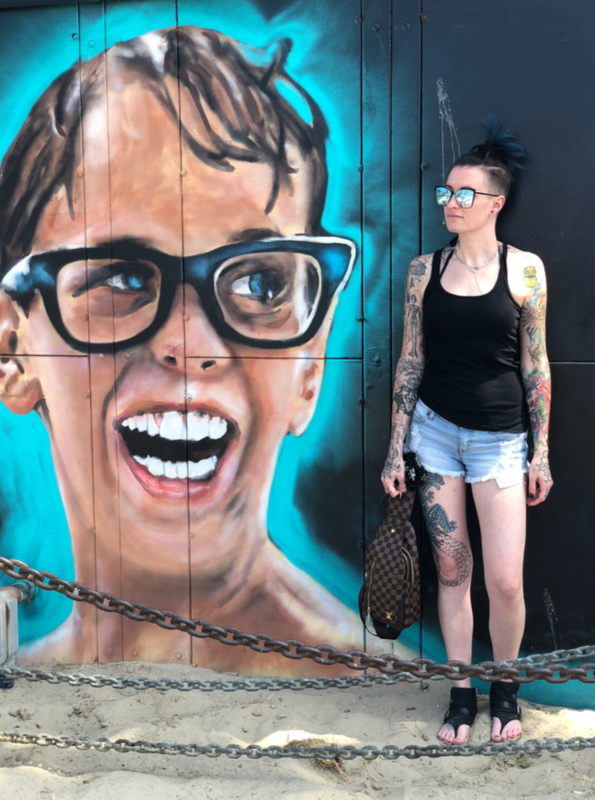 So the votes go to Venice Beach and I chime in that I need street art. I love finding street art in every city I go to. Not only is it cool to look at and provides prime Instagram moments, but it gives me a sense of the city! Street art is a great way to know what's happening within the city you're in whether its political, social, local or straight up gossip; street art never lies. Travel hack 97446 - Google “street art near me” when you're in a new place. 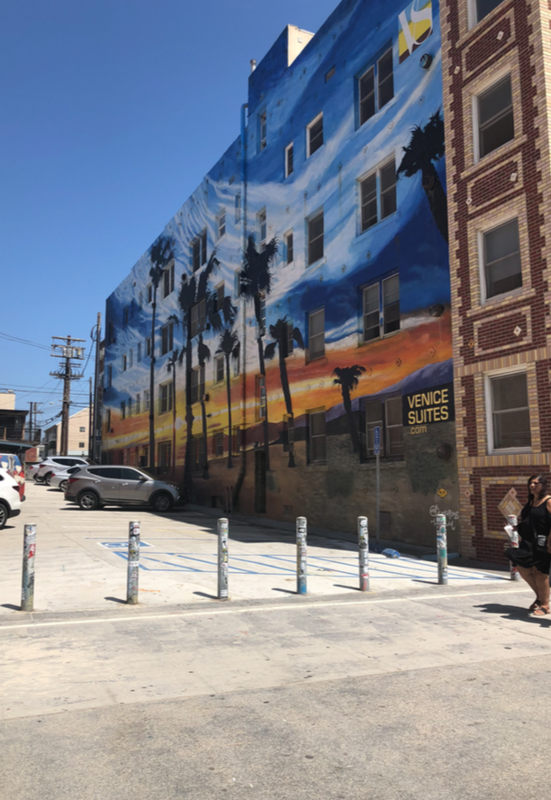 So we all head down, grab another cup of coffee to go, and head into a 45-minute drive to the ever famous Venice Beach. Much like the vibe of the rest of the city, Venice Beach isn’t what they portray on TV. Sure there are rollerbladers, people on bicycles, and a beautiful beach; much to my surprise a city this large has such a laid-back vibe. Very relaxed and welcoming air surround LA and Venice Beach. After we all agree we perfected some Instagram shots we move onto my task, finding local street art! As we head back down the pier to the concrete path that winds through Venice we can see vendors set up in the direction we haven’t walked yet; so we decide that's the direction to go. Every few feet there is a tent full of art and artists selling what they’ve made, and the coolest part was no tent was the same! I stop off and purchase an ink drawing of a mechanical shark on a map of the Pacific ocean. The perfect souvenir to hang in my house when I get back. We walk and we wind down, and we find some really detailed art, but alas I cannot find what every city has, that secret spot only locals know about. This gives me a reason to come back though! I will find it one day, and in case you are wondering I was told it is between Rose and Naval Ave near the beach. If you find it first let me know! As we explore we find a shop called “Moon Juice” and Brit says she swears by their products. So naturally I'm in, I love knowing what people swear by especially if its good for you. Moon Juice offers a number of supplements, mixed powders and even shakes/coffees prepared to go right in the store. This spot is full of what your grandma may call ‘hipsters’ and what we call our peers, and correct me if I'm wrong but hipsters know where to go. I’m overwhelmed by the selection but comforted by the soft colors and decor, so I order what's closest to an iced espresso along with some of their energy/brain powder cause, well, who doesn’t need more of that! 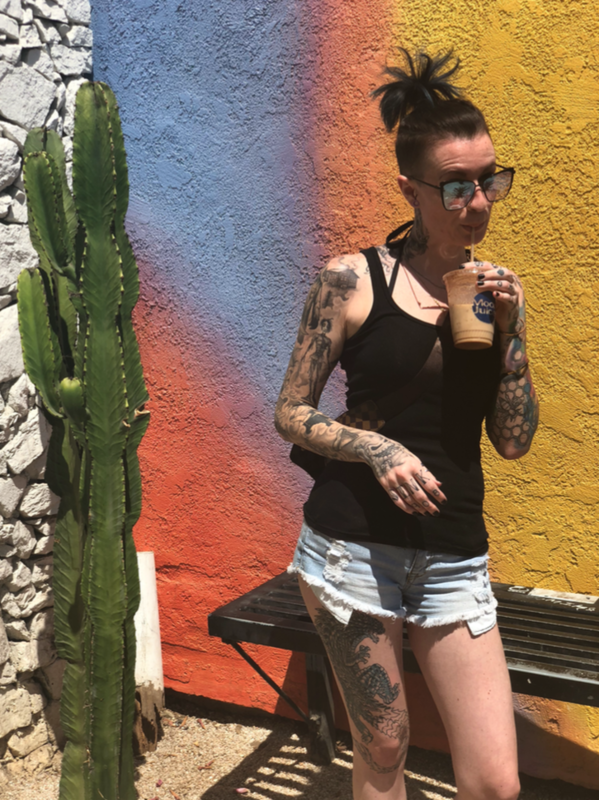 Not to mention, the storefront has a killer spot for Insta-pics and since I am writing this journal in the name of travel and Instagram, I ask Brit to get a few more shots of me. So as we linger a bit, I call a Lyft and alert the group they have 3 minutes left to our photo shoot before Vlad rolls up to cart us off to the hotel. They click that shutter button as fast as they can and then ever so safely as Vlad holds up traffic we jam into the Lyft ride for another 45 minutes back to our home base in downtown LA. We’re all a bit tired, and our skins warm from potential sunburn but we also all discuss what's gonna go down when we get back. Tonight we have the Next Big Thing cocktail party. A party just for us winners thrown by Redken! How honored we all are; even though we all look like we’re ready for bed. And to be real, if you put us in a bed we would be in REM sleep in 10 seconds. Once we’re back, and up to our respective floors and then rooms we do the old switch-a-roo get ready system. One in the bathroom for hair, one on the bed for makeup and then the swap. By now you know how this goes. I am not a dress person, but I am excited about tonight's dress; I am channeling my inner Wednesday Adams with a black knee-length accompanied by a white peter pan collar. Feelin’ pretty empowered by my ensemble, and by my Wednesday Adams vibe I snap that obligatory mirror selfie and send it to Heidi to let her know what I am wearing. Of course, this has got to be something all of us girls do, compare outfits and get the silent ok and the silent dress code amongst friends. 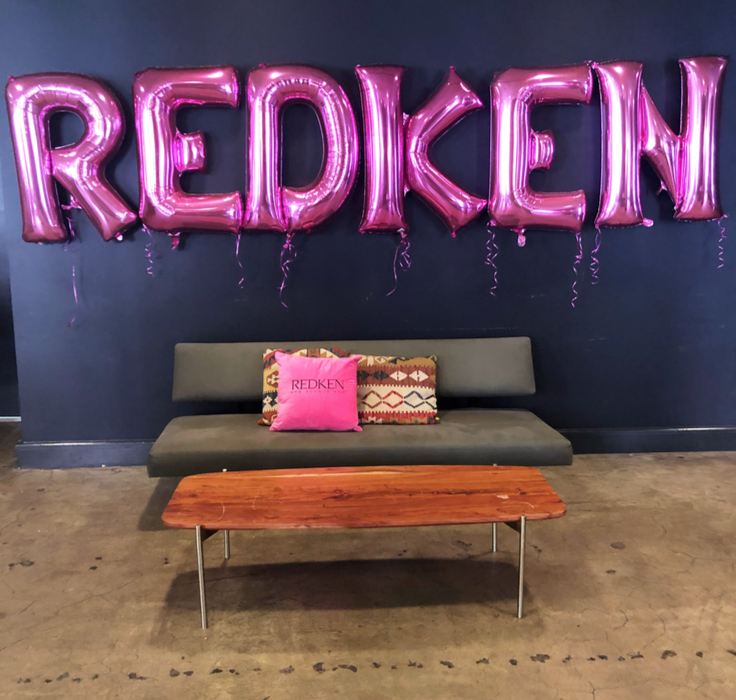 As we pile into another Lyft, we are all so excited, we never know what surprises to expect from the mothership that is Redken. We arrive at the SIXTY and are directed to the elevator to the rooftop. At this point, it's dusk, and the sun is low enough that the neon signs start to feel like how the movies look in LA. 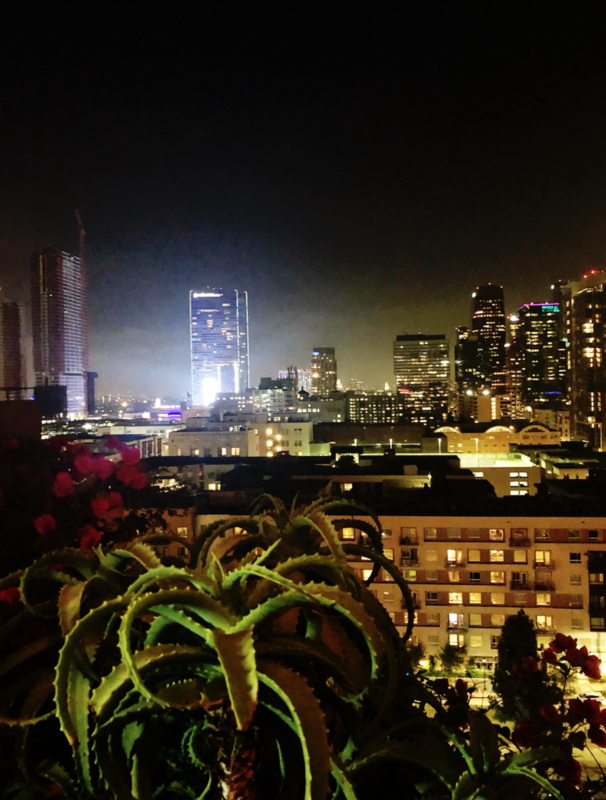 As we enter, ascend, and pile out of another elevator we are greeted again with the warm humidity that is summer in LA, and the glowing of even more neon. Upon stepping onto the rooftop we are greeted with gusto and introduced to more people, influential in the beauty industry and catered to as if we are movie stars; handed drinks and cocktails along with the ‘do you need anything else ma’am?” and alike questions. 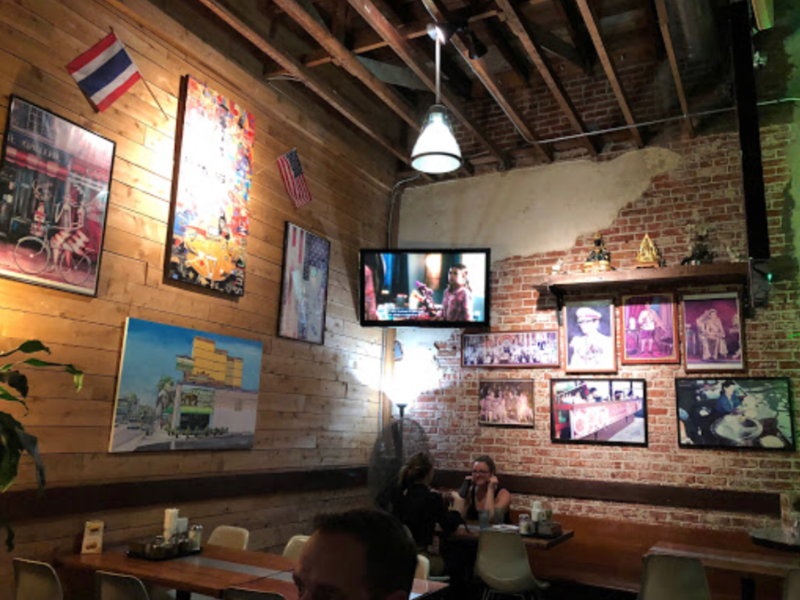 The level of the rooftop we are on has no real view due to the impressive bar, lined with neon signs and Redken product and decor, but turn the corner and here lies a mural of the NBT entries from this year and last. Insert selfies and poses here. As we drink, eat and mingle last years winners arrive and we hug and screech and smile, we talk about our experiences and then someone starts an announcement. As if we weren’t having enough fun they tell us the second level of the rooftop is open; yes the second level of the top of this building. We all head up the stairs already on a high note from the opening of this night. At the top of the stairs we are greeted by a pool with the Redken logo lit up on the bottom of said pool, a DJ already in the groove, the largest projector screen I’ve seen in a while on the back end of the pool, and more waitstaff ready to feed us and keep our glasses full. As we all disperse and make our way around the pool, stopping to chat with whoever will listen, I notice the projector screen starting off, and it seems in the corner area there is a GIF station! Once you complete your GIF you can save it and then project it onto what seems a skyscraper within itself for the whole party to see. Also making for amazing content for later on in my week, I make a mental note to get in that booth tonight. Everyone who’s anyone was invited to tonight's party; Sam Villa is here, Adina Doss, Justin Isaac, Hugo Urias, Veronica Ridge, even some more of the Corporate team has shown and it seems like a video game. Where every few minutes another Redken tribe member spawns up near the pool, ready to hang and have some fun! Then my good friend Heidi arrives, which is perfect because I need to get into that GIF booth already. Before we do she makes sure we head back down to the Red Carpet for some photo ops, which I mean she isn’t wrong I suppose I just missed it in all the excitement to see what's up here on this level. This is one of those nights that just flies by. I mingle, mingle, mingle, laugh, joke, eat, meet new people, see ones I know, catch up, connect; then boom last call! The best part of last call?? The swagggggg though! At this point Redken, Sam Villa, and NYX have presented us with so much swag I’m concerned about the weight of my luggage! Everyone eventually congregates in the lobby downstairs and this is where a line is drawn. A line between who wants late-night tacos, and who wants a bed. I choose a bed, and I know, so lame! 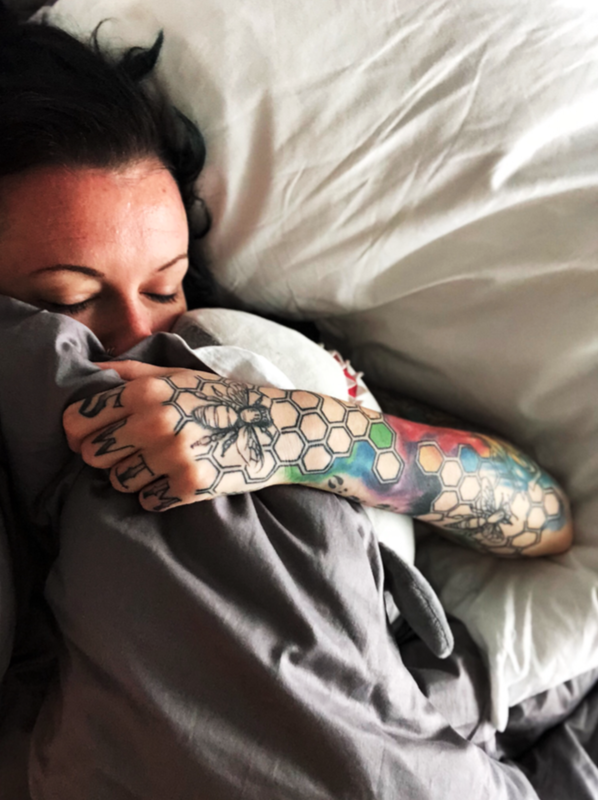 But I am so full of love, and jet lag is creeping around the corner; thinking about that amazing comforter and second only to one bed; I dial in a Lyft for my fellow sleepy heads. 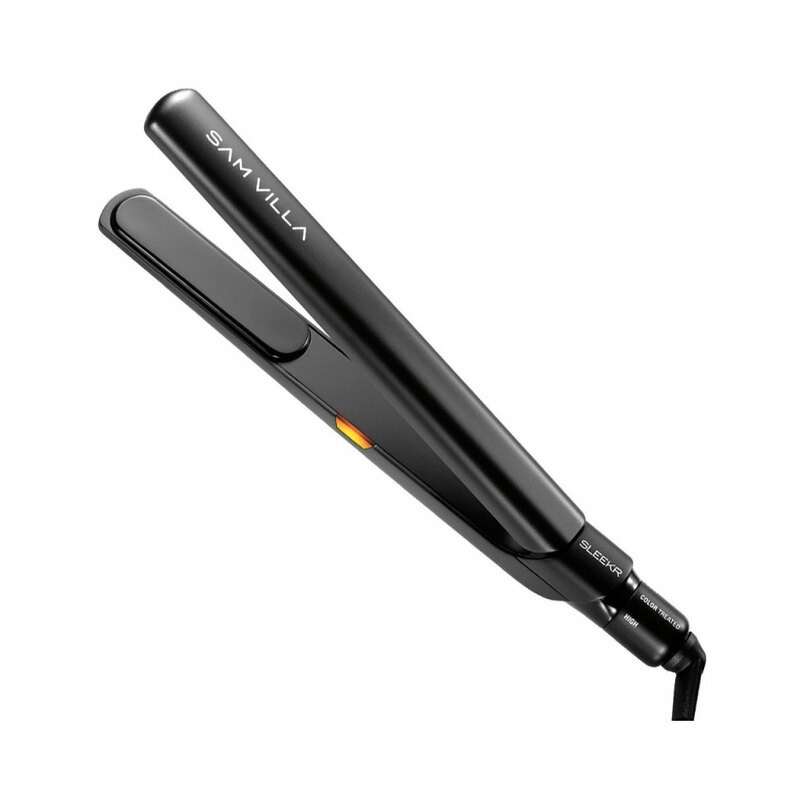 Oh, and tomorrow we have a call time of 10 am with Sam Villa and Bangstyle for a photo shoot! Call me lame all you want, but I love working and I love being on my A game; so tacos can wait. We pack into the Lyft, which is equipped with the cutest Chihuahua named Pixie! for the next 20 minutes, my Lyft partners and I spoil this pup and obviously give our driver five whole stars for a safe ride home, and the cutest copilot. Upon arrival, we head into the elevator and say our goodbyes per floor and as excited as we are we are also tired as hell! I put my dragon onesie on, brush my teeth and double check my kit is properly packed. I can't tell you how much I love being on set! Like a kid at Christmas, I wake up an hour before my alarm, zip up my kit, and get ready. I know its going to be a long day, most days on a set are so I dress comfortable and don my usual snap back-onset look. I make it downstairs with my roommate and see most of our tribe already in the coffee line, so naturally, I also get in line. I order the largest iced espresso they’ve got and we assemble into another Lyft ride. This time we head down what seems a windy narrow path through LA traffic, into a more local gritty street full of dress shops and clearly fashion driven storefronts and stop. As we unload ourselves and our kits I take in the environment. One thing I love about major cities is the smell of asphalt and street food. Call me crazy, cause many do, but I love this ambiance. We head upstairs, into yet another elevator; this one though is less glamorous and more like a service elevator. As the doors shut I can feel the elevator sway on its cable, and I get that half a second feeling we may not make it up the elevator shaft. The feeling leaves as fast as it came once we get moving up, and the doors open. We are now inside the FD Photo Studio. It's a large concrete, white, industrial building; and as we step into the large wide room we call ‘the set’ the industrial vibe continues. Without much instruction, we all instinctually set up shop in our assigned stations; where I feel immediate gratitude for hydraulic chairs. 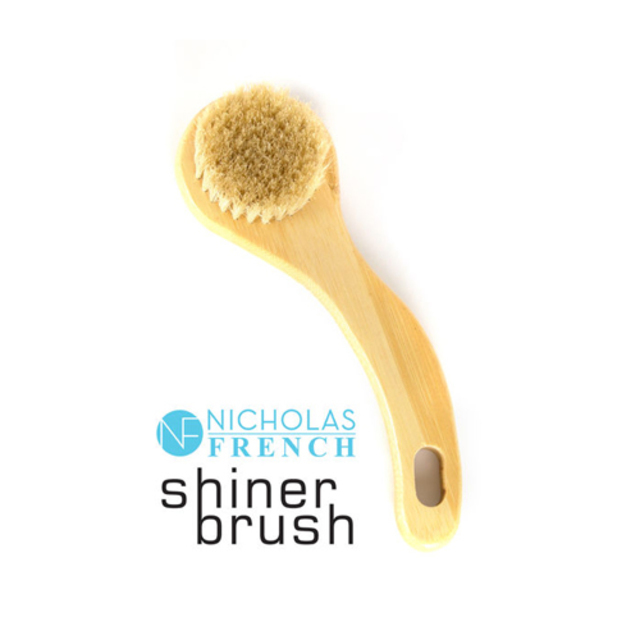 If you're a session stylist, you know, this is a luxury on set! The vibe is quiet but exciting. We all set out our kits, and arrange our stations; and hang our mood boards under our corresponding names; and then Sam calls our attention. 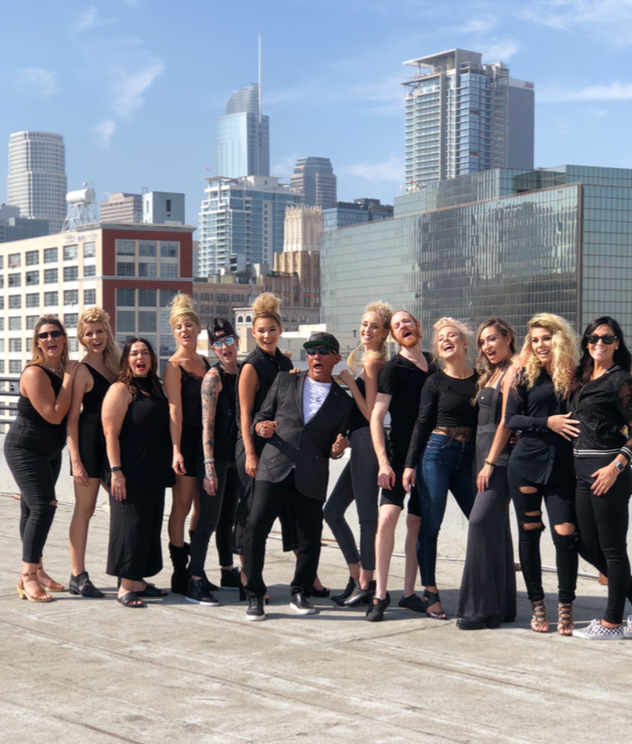 We head over as a group, stylists, leaders, Redken, Bangstyle, models, photographers, makeup artist, studio manager; we are all here, and we are all smiling. Sam gives us an amazing pep talk, which in true Sam Villa fashion is uplifting, motivating, and mostly energizing! He talks about the amazing day ahead, how to work as a team and help each other, and above all else have fun. 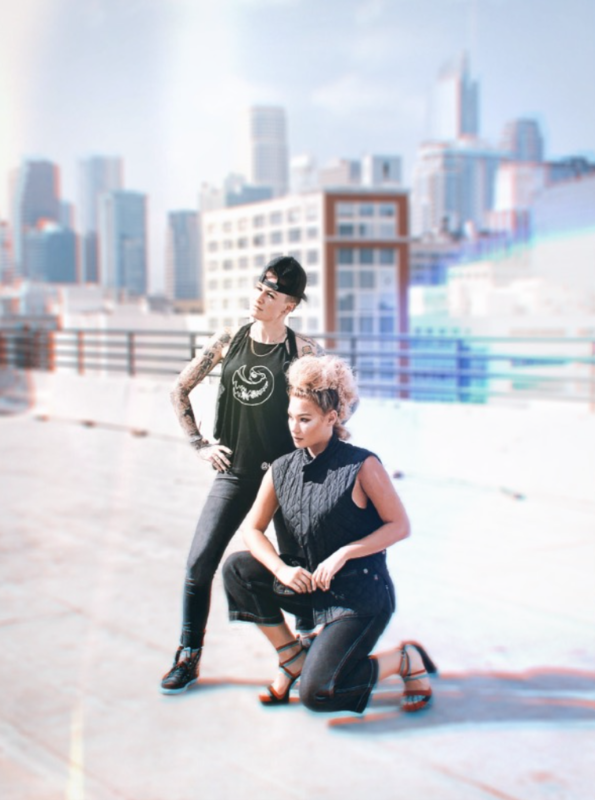 The lovely ladies Lori and Ashlee from Bangstyle take over next again, with positivity and love towards us. For me just spending this moment amongst them with such energy as they have is satisfying enough; I can't wait to start the damn day! We go over the timeline of the shoot, ask for any questions, hit up hands in the middle and we’re off! This one sentence embodies exactly what I am going for, but that's why he’s the big man right? He gets it, all of it! And I can't say enough how much I love and appreciate Sam Villas enthusiasm for other artists. Truly inspiring. 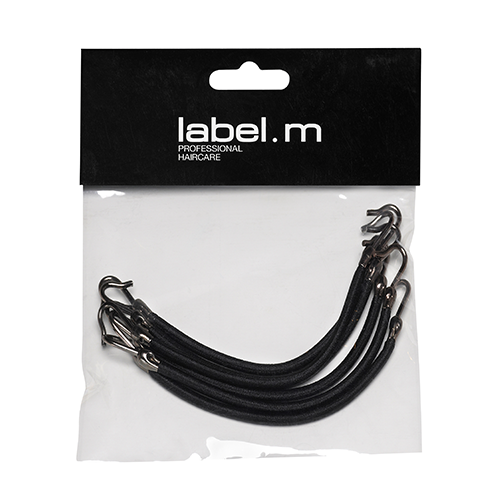 Trusting my makeup artist, I send my model to makeup and begin prepping wefts with snake braids, I plan to outline my mohawk with these wefts. Killing two birds with one stone is key when working on set, I’ll make the cornerstone piece while she’s in makeup, and then decide on wardrobe. Boom, make it all happen at once. As I am mentally planning all of this I grab my wefts, and like an angel on my shoulder out of nowhere Sam leans in and says, “You’re going first, I’m counting on you.” Which I’m sure meant for timing since my look is first I have the potential to set everyone back on time if I can't get this to work within the 45-minute time slot I asked for. I’m being serious, there was no pressure. Sam saying that to me put me on cloud 9. Sam Villa is counting on ME?! I finish the wefts and my model is out of makeup, how perfect. She sits down and I begin my look. 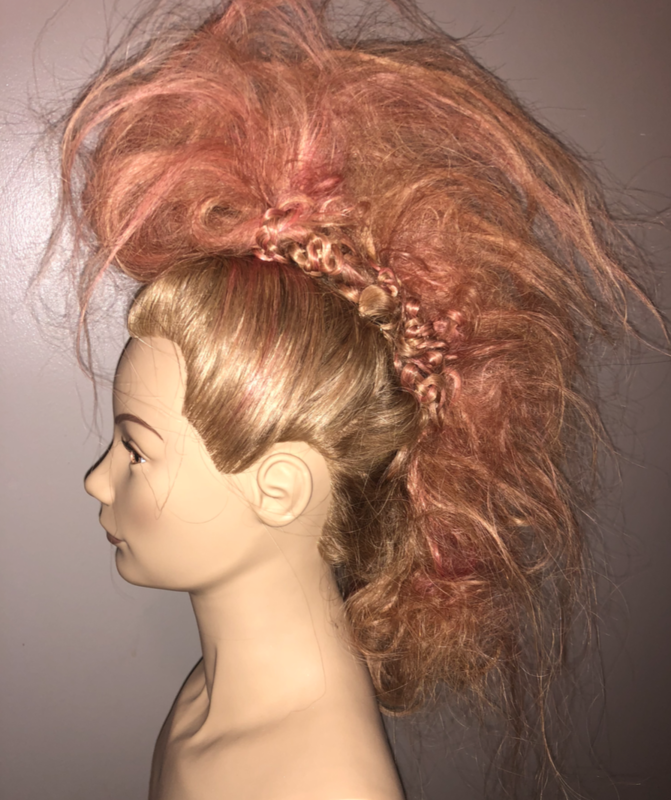 I prep with a directional blow-dry using Guts 10 then fashion ponytails down the center of her head, this will be the bases of my mohawk. 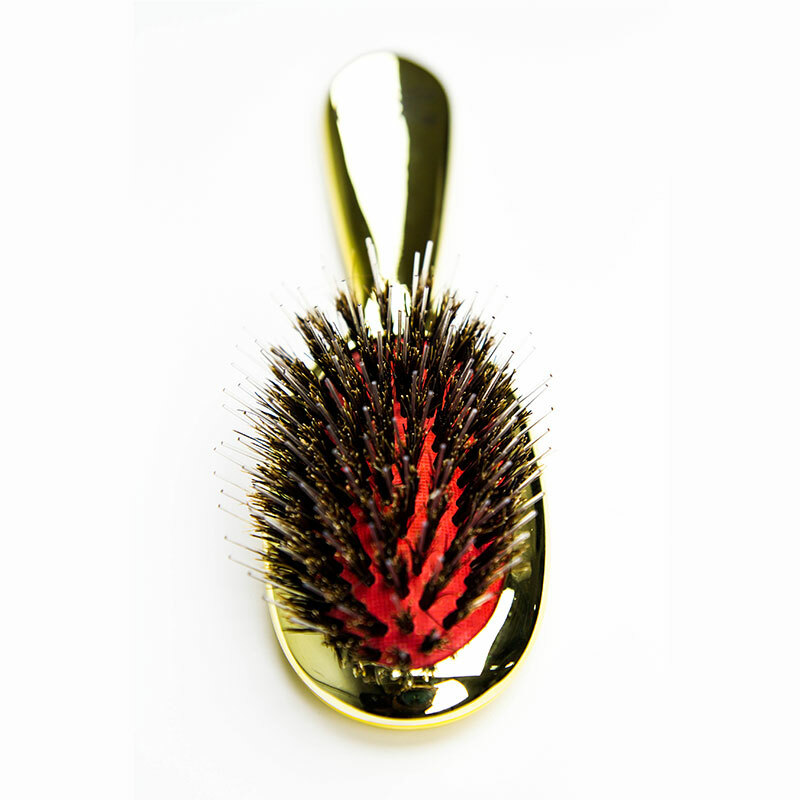 I then hand lace the ponytails into cloudy light poufs and pin the poufs to the sides to start the mohawk shape. Once my mohawk is pinned into place, now to install the braided wefts. Having my model hold the beginning of the first weft on the center front I pin the weft periodically along the edges of the hawk. Then do the same on the other side. I ask Bre (my model) to hold my phone because let's be real I need it ready for all the behind-the-scenes pics! And this girl is fire, she takes some ‘model selfies’ that I could not be more grateful for! Its nice being in the behind the scenes shots sometimes; but she also has a better view of those wefts installed! Check it. We get her in wardrobe, and onto the photo set. Sam goes over some hot tips, how to view your look, what to look for in a final shot, and how to tweak in between shudder snaps. Advice that I will value for years to come! And again, Melissa this time, gets some pics I didn’t know she was taking of me acting on Sam Villa’s set advice. Pro Hot Tip** Get to know the photographer, always. The photographer holds the keys to the kingdom which are your images. He introduces himself, this is Chris Bagot, and he is a towering man with long locks that would put Jason Mamoa’s to shame. His handshake is strong but his vibe is welcoming; which makes it easy to jive with him. And of course, easy to throw in some jokes about how I’ll be needing more than the allotted 4 images (insert wink emoji here) He secretly obliges and I add him on Instagram to make sure I have a doorway to cash in this verbal deal later (insert another wink emoji here). 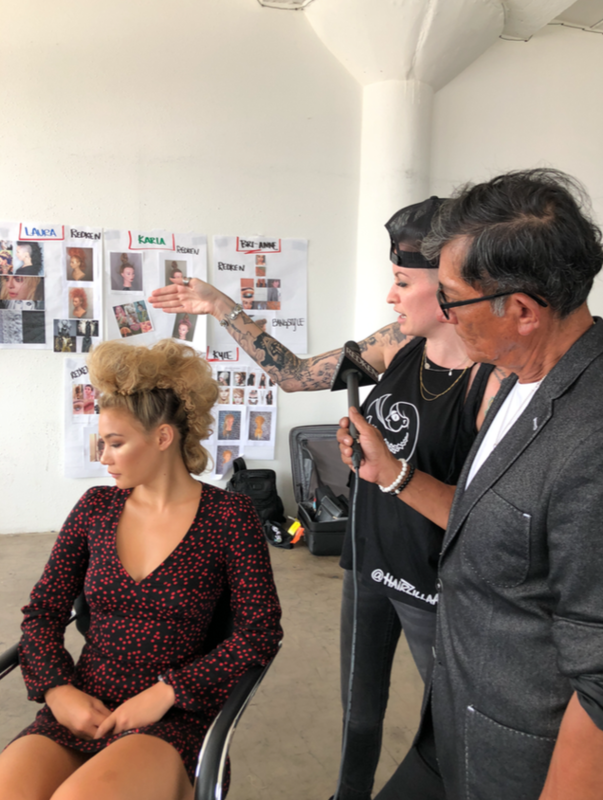 Now, remember this is a whole weeks worth of experiences and networking with stylists and professionals I otherwise would not have such close access to; and I want to tell you we were on set from 10 am to 5 pm and in my life, I’ve never learned so much in 8 hours. Sam Villa taught me, how to stand back and evaluate myself and my own work, to better my best. If you’re like me you are great and welcome self-evaluation. But if you're like the majority, self-evaluation is terrifying. Sam Villa, the man, the myth, the living legend taught me, always take the few extra seconds to stand back, remove yourself and your emotions and ask yourself, “how can I take this from great to the best. He gave me tips and literally physically showed me how to stand and what to ask myself to take myself from my greatest work to the best work. I will cherish that forever. Of course, I cannot give you the details on each tip, where to stand, what to look at, how to look at it, what questions to ask and how to utilize the team environment to lift the whole room and everyone in it. This is the true prize; the personal experience. Within a few snaps of that shudder button the ladies from Bangstyle and Chris the photographer, crowd around the screen housing my images and wave me over. They taught me how to look at my final images in a new way; and how to know what my style is as far as choosing a final shot. Now, I know you're wondering, where are the 5 other winners Laura? As we all middle away at our models, and take comfort in our own one on one time with the leaders in the room; we are still a team. We do rounds within the room, asking if anyone needs an extra hand, an iced coffee, another eye, etc. So even though we all have our own looks, and our own tasks and timing, we are still in this together. Now that we are in a flow and artist after artist finishes their shots Sam comes up to me and asks if I could do a second look. Now for a treat! We wrap our looks up in the studio and Chris exclaims since we wrapped up early so let's shoot on the rooftop! 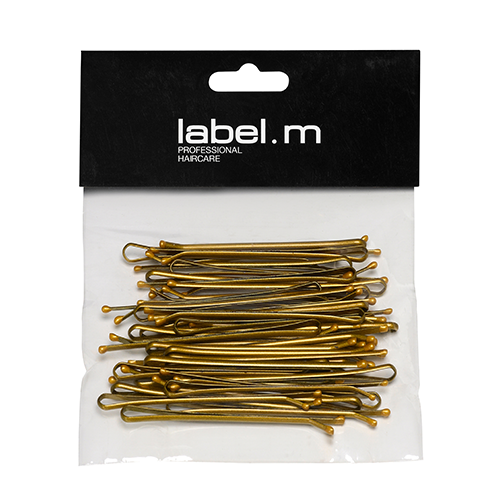 We head up with a couple combs and pins, maybe a Wax Blast 10. As we open the rooftop door we are hit with a wall of humidity that makes me think, thank goodness this whole shoot wasn't outside. Chris immediately sets up shop and starts directing our models into group shots; now its just sheer creativity!! We all let him do his thing and laugh and chat and go right along with the flow of things. For our final shot, Melissa yells “Ok everybody!” And we all are higher at this moment that we are on the building we stand, and of course, Sam brings the energy to us and we bring it to the photo. And that's it! We head back down, deconstruct our models, send them on their way, and debrief. We go around and talked about what worked and what didn't work; and how to make the experience better for future winners. Then Kristin announces they have a surprise. The corporate team at Redken made a beautiful dinner reservation for us and Sam! Which is amazing, especially because we are all starving; like true hairdressers, we are running on coffee at this point. Again we pile into another Lyft and head to Miro, an elegant Italian restaurant across the street from the hotel. My Lyft arrives first, we alert the hostess we are here, stash or bags and kits to the side, and file into the table. As we wait for the second car we order drinks and some appetizers for the table. 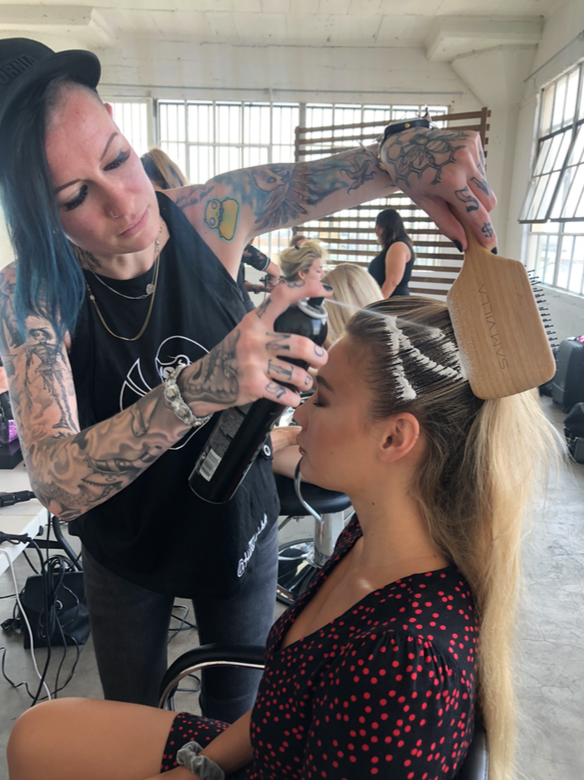 We chat about the day, about hair, about Redken. Exhausted is a safe word to use at this point in the trip, but our hearts are full and we all have this permanent smile stuck to our faces. Today was my favorite day! And we still have the NYX Face Awards to attend tomorrow!! With VIP passes!! We all (slowly) grab our kits and roll em across the street to the hotel like a bunch of tired, but happy, little slugs. We each head to our rooms, and as I change into my jammie pants, which I have been thinking about since I put four pounds of spinach ravioli in my belly; I literally can’t wipe the grin off my face. I haven’t been this excited for bed in a long time. My roommate invites me to tacos, and I politely decline because right now this cocoon of cozy is just what I need to recharge and have another (and final) day here in LA. I wake up, well more like pop up!! today is a free day until later tonight so I am going to explore!! One of my closest friends you got to hear about earlier, Heidi, lives close by and we are going to have a girls day adventure!! I Get dressed, practically fly downstairs and she picks me up near the valet area; and bonus - she brought my niece Chloe!! PSA-Chloé is my fur niece. 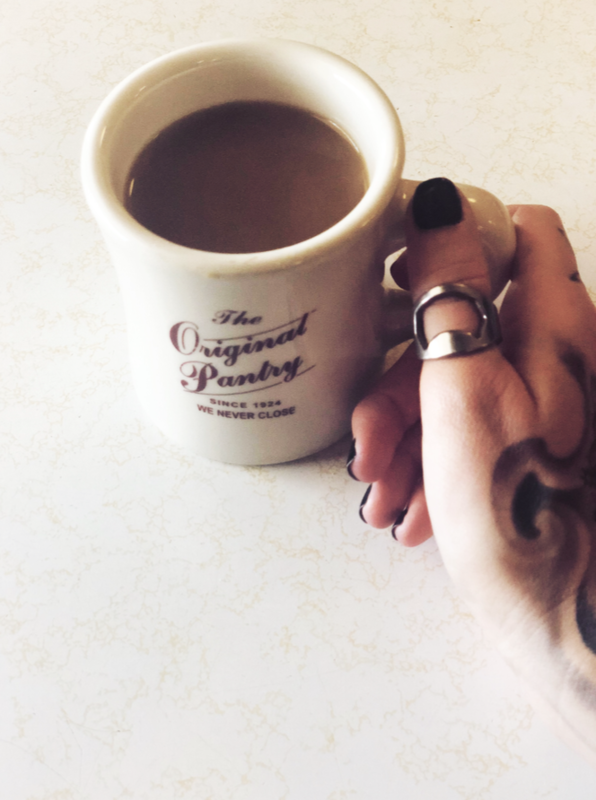 But first, breakfast! 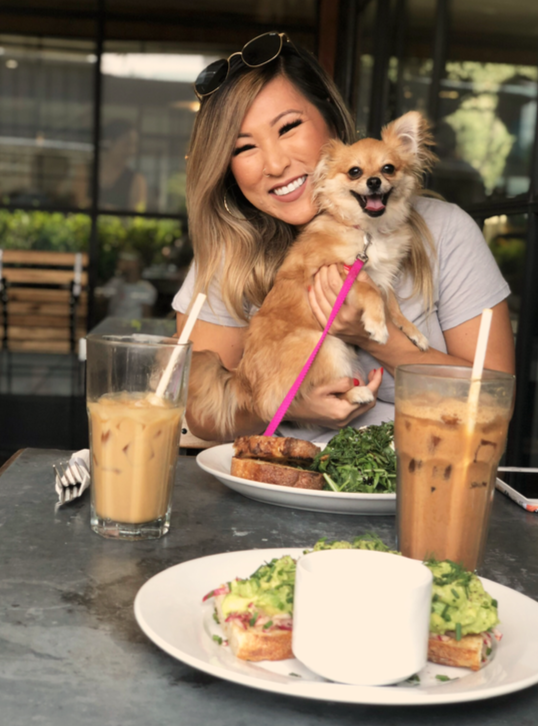 We park put Chloé’s leash on and head towards Zinc Cafe! Love this spot!! Its surrounded by art and full of local dog lovers, and its got a cute patio seating area! My fave beverage for breakfast? Chai Tea! And let me tell you this place didn't disappoint! On any level! The food was amazing, the staff so friendly and speedy, and the company I had with me was perfect! What a great day and it's only breakfast! 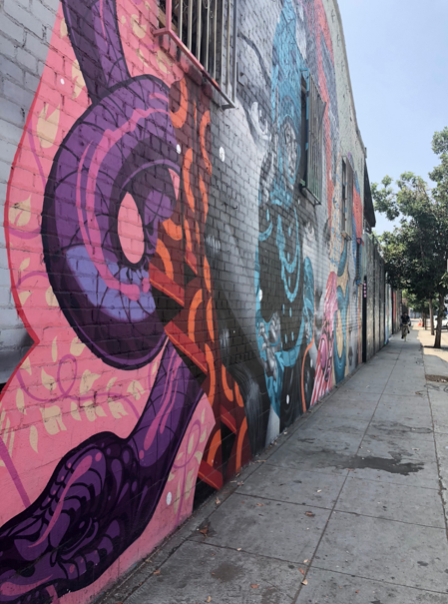 If you start at Zinc you could go in any direction and find amazing street art, but we had a plan and a destination in mind. The Container Yard. It's only a couple blocks away, so we leash up the fur kid again and start walking. On our way, we stop for some great photo ops and even better content for the Gram. We get to The Container Yard and the outdoor portion is closed. *womp womp* but the inside is pretty amazing and the art on the building itself is also impressive. We do a lap, snap some pics; and head back down the road. This is my favorite thing to do, just explore and enjoy places. We walk, and chat about life and all the things we’ve learned this year, and stop now and then for some more photo ops. Chloé was really digging it if you can't tell. 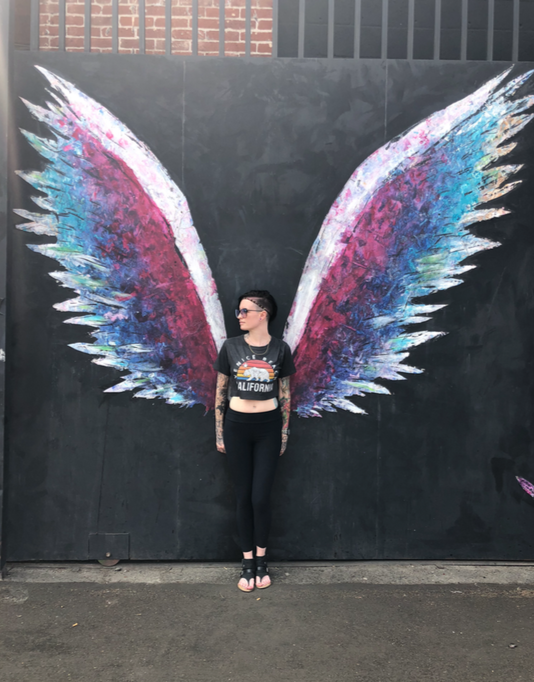 Something that started this street art obsession is the Global Angel Wings Project. Started by artist Colette Miller to remind us that humans are the angels of the earth, and we can all be good and kind if we all just try. There are wings painted across the USA and globally as well, and now I try to find each set that I can before I kick the bucket one day! While finding these wings (LA has multiples) Heidi, Chloé and I stumble upon an Artist Co-Op!! Now don't ask me where it is but I am sure if you throw it into Google I am sure you can find it. This Co-Op is a large vintage warehouse full of local art, clothing, textiles, jewelry, and just good old crafty stuff! Great find! As we make our way around the warehouse we discuss the walk back and how I have to get ready to do some hair tonight for the award show! Heidi and Chloé get me back to my hotel, insert another *womp womp* here; I head up to my room to get ready for the last event on this trip. My kit is already packed, I don't know what I’m doing to my nominee's hair but I know I have to be prepared! Packed a flat iron, Sam Villa 2-in-1 Curling Iron & Wand, a tackle box full of pins, clips, and elastics; and finally throw my red carpet outfit in there too. Because let's be real, I am not doing hair in a full body suit and heels. And yes you heard right; red carpet! Which I later find out is actually hot pink not red, but very on brand for NYX regardless. We all meet in the lobby, squeeze into another Lyft. 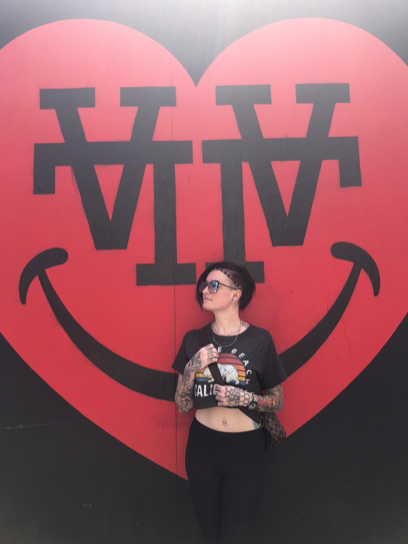 When we arrive at the Ace Hotel, we congregate together, the corporate team lays out the plan for the night, assigns us an NYX Face Awards nominee, and sends us to the rooms corresponding with the nominee we are to be styling. So, the Ace hotel is very vintage and curious looking from the outside and in the lobby, however, the rooms leave you with a cramped, ‘roughing it’ feel; which grows on you in the old detective movie way. Like we may solve a mystery tonight or Roger Rabbit is going to jump out of a corner in this hotel somewhere. Alexandria is breathtakingly beautiful, tattooed, and welcoming! Speaking of tattooed we both have Beetlejuice snakes tattooed on our forearms, insert Step Brothers moment here. I set up my kit on her table where she also has all of her makeup set and ready to, an elegant red dress hanging on the wall behind her draped with a leather jacket. As I begin to curl and set her hair she applies her makeup and her boyfriend starts filming. He does so much of her behind the scenes and his enthusiasm and energy is filling the room which makes me enjoy their company even more. 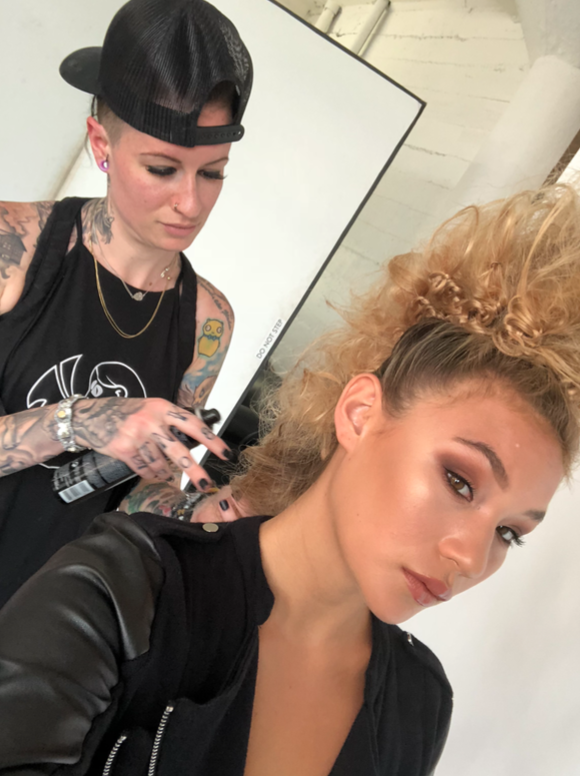 We chat about the awards, about her story, how she makes videos, her favorite makeup, and before I know it her hair is curled, set, and ready to go. Now, I have to go! I head downstairs into the lobby bathroom to change and clearly, 3 other Redken Artists had the same idea. We take turns using a stall and making sure we picked the right shoes all while patrons come in and out wondering what these 3 crazy girls are doing with clothes all over, makeup on the sink, and more than 2 pairs of shoes scattered on the ground. Once we are ensembled we shove all our extra stuff into our kit bags and meet our people in the lobby. Our Redken corporate team takes our bags to deliver back at our hotel and we head out to the awards show! We don’t need a Lyft this time it’s only two blocks away, so we decide to walk. What I love about larger cities is you can do, and wear, and say almost anything and people don’t seem to notice. If you’re a hairdresser reading this you know, not only did we look fabulous but we were so very extra walking down the street. We arrive at the theater, line out the door; a line we didn’t have to stand in! We skip ahead using our VIP passes, you know swinging them around like no big deal. As we make our way in we are met with so many lights, colors, costumes, makeup, energy, music, yelling, laughing; it’s like a circus in here. Every few feet there is an NYX makeup station to get touch ups, change your lip color, or just take a selfie with the makeup artist. This is also where I get to prowl that red carpet- which is not red but hot pink. Very on brand for NYX cosmetics. We walk the carpet one by one, snap those pics, selfies, waves, and more than double back for that group shot. It’s complete chaos, and it’s glorious. Just as everyone is piling in and I’m thinking there’s no way we can fit another body in this theater they unlock the doors to the seating area and we are all guided to our assigned seats towards the stage. The lights dim, and music blares and the room explodes with applause and whistling; then a show tune and choreographed group bursts into the stage. 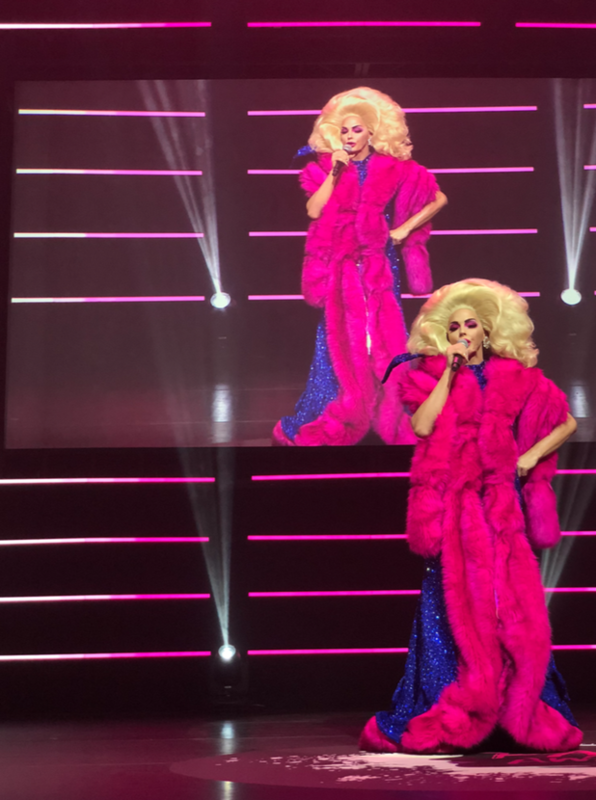 And suddenly the glamorous Alyssa Edwards bursts onto the stage in a larger than life blonde wig and even larger glittered gown. Singing in her most showtime sing-song voice and being carried around by scantily clad buff male models. The whole opening production is nothing less of extreme glam. 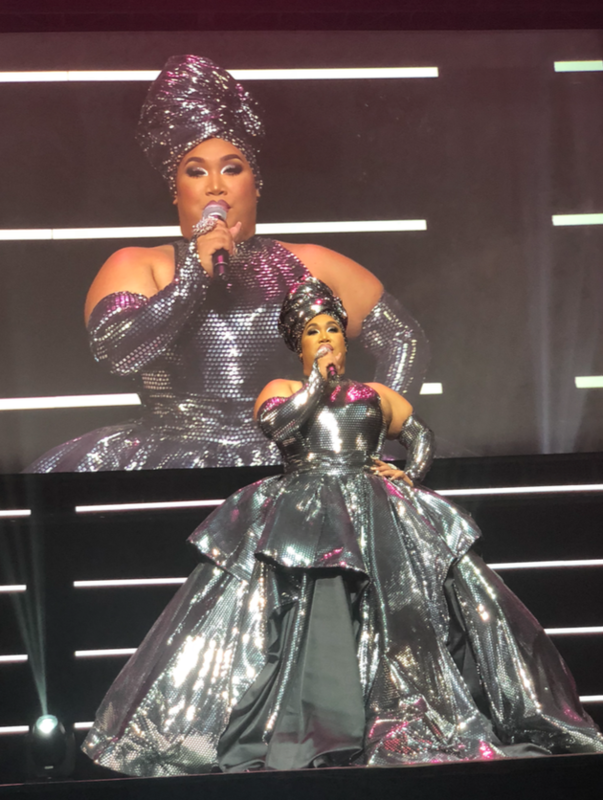 Then our host comes on stage, Patrick Starr, in a gown that was let's say also large and glittery. This production goes on for about 2 hours but feels like ages in the best way. Between Patrick, Alyssa, and the NYX contestant videos we allot lost in this fantasy world of makeup, glam, and gore!! 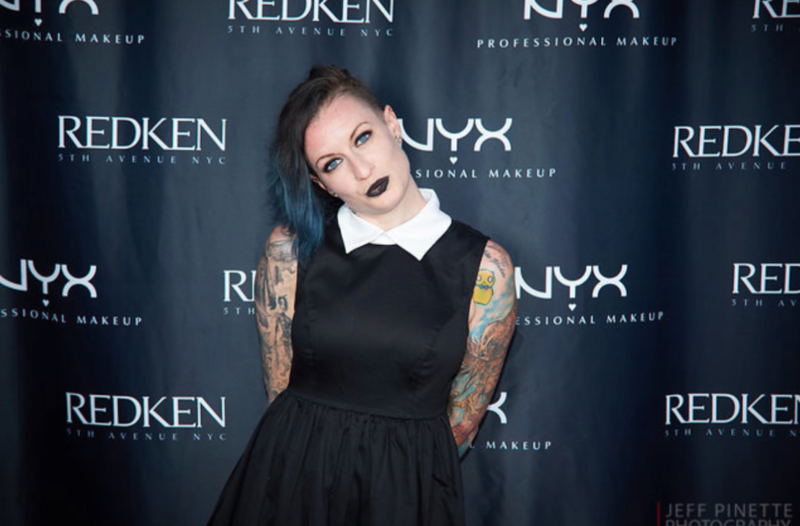 Each category the NYX Face Awards contestants entered match the categories each of us Redken Artists were also assigned! How cool! As we near the end of the show you can feel the anticipation of knowing who won. 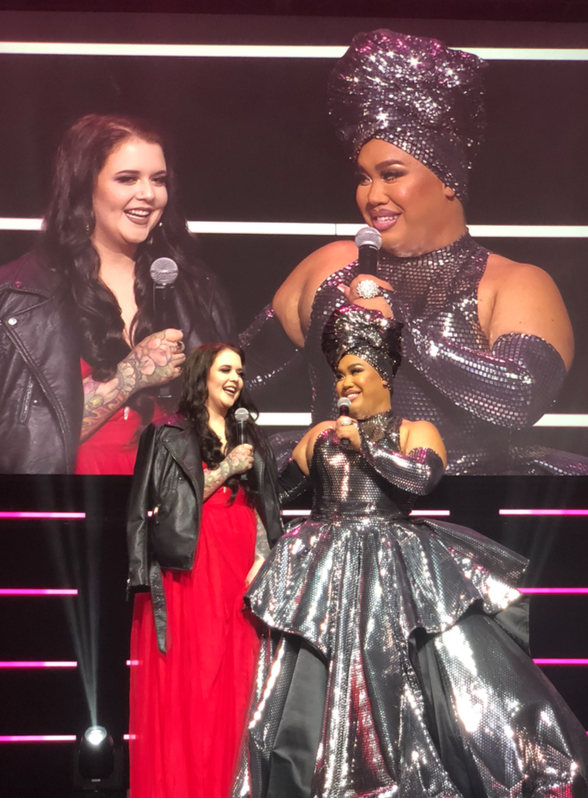 All the contestant's videos of beauty, transformations, and special effects are so amazing it's hard to imagine who would win; but of cour,se I hope Alexandria wins so she can flip that beautiful hair around that I was blessed to curl!! Finally, they announce the winner, Rachel Masky!! The room explodes with applauds and cheering! And they recap all her entries and the journey that got Rachel here, and honestly, it's very inspiring. As the claps die down, and the lights dim up everyone's attention turns to the exits; and to that VIP party!!! After finding a snack and a cocktail we all decide to head out! It's official, we are beat. And that's appropriate. We all worked our tails off, explored as much as we could, did a lot of hair, and filled our minds and our hearts. We pull into the hotel and in the lobby say our farewells, hugs, smiles, and the ‘stay in touches’ then head to our respective rooms. As I double check I packed it all, texted my husband I will see him tomorrow, and slide into the king size bed that's been a comforting friend all week; I can't help but cozy on in a smile. 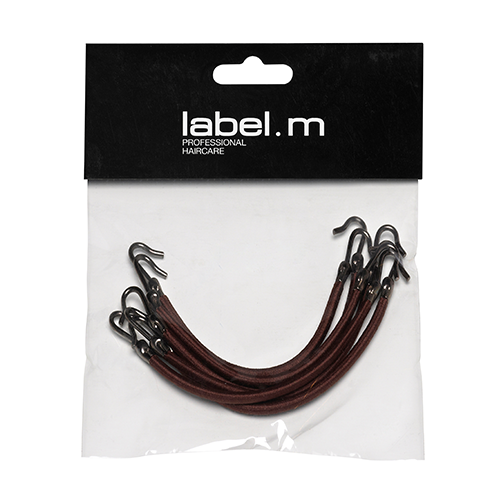 For more fashion-forward styles be sure to stock up on all goodies the Bangstyle store has to offer!